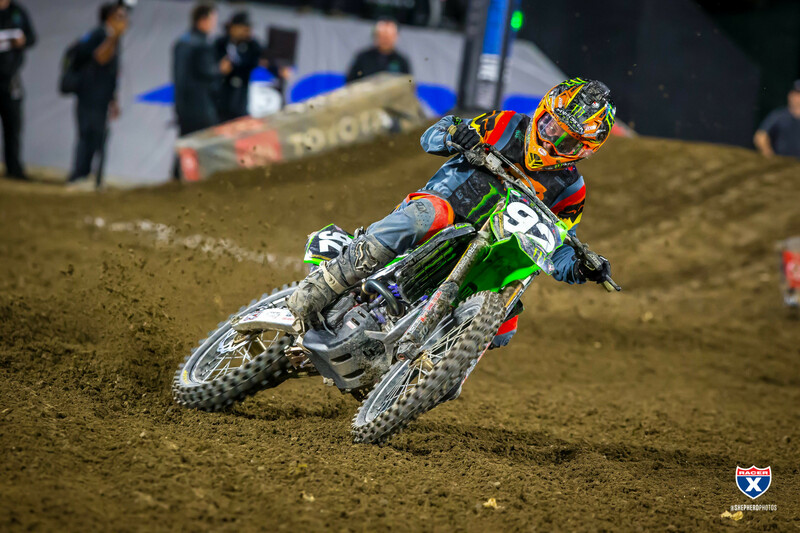 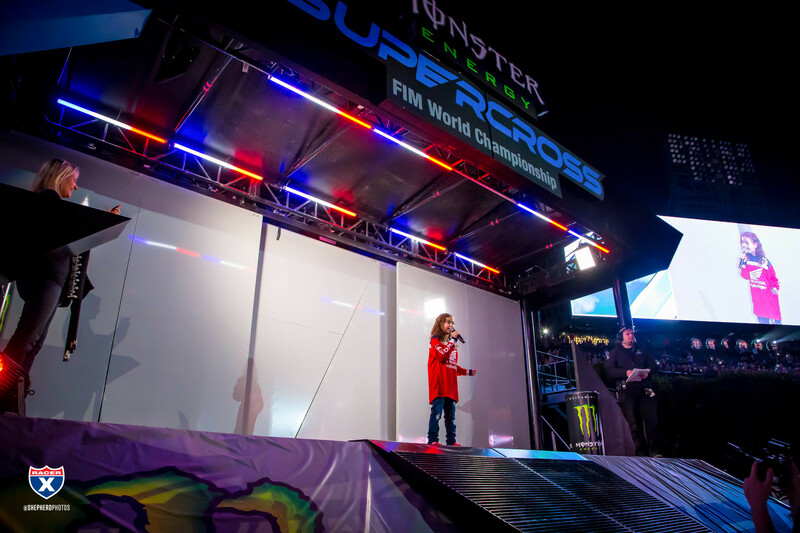 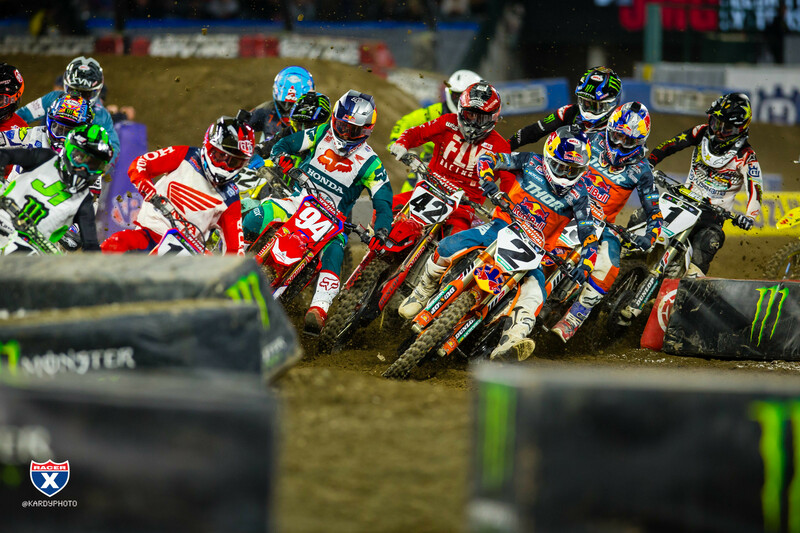 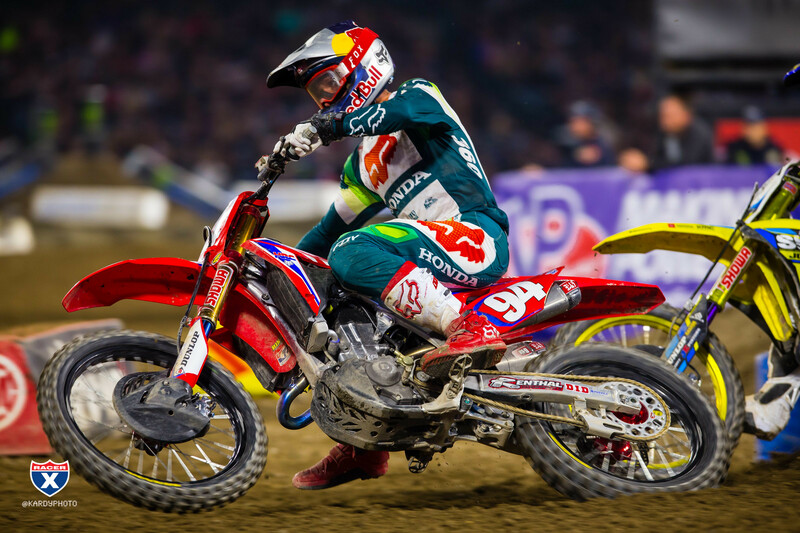 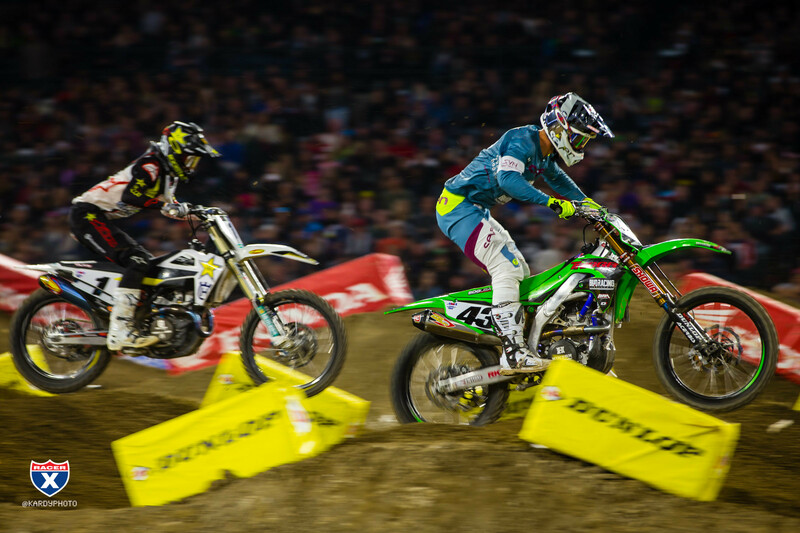 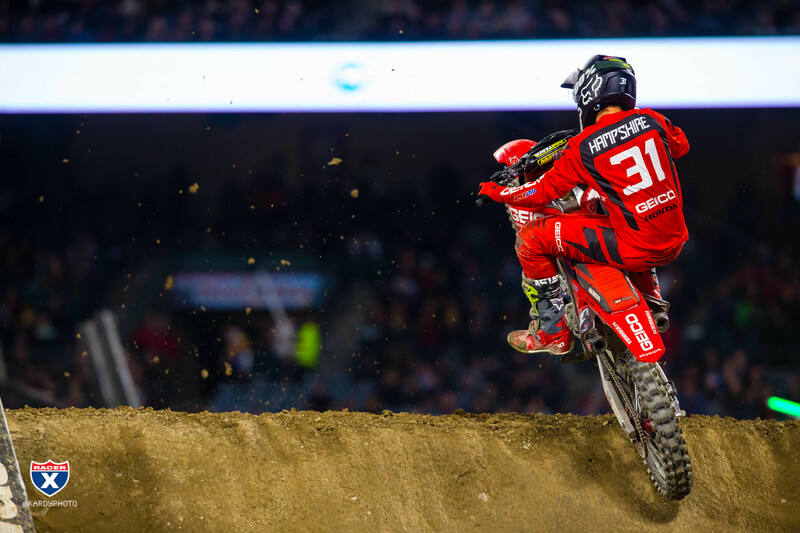 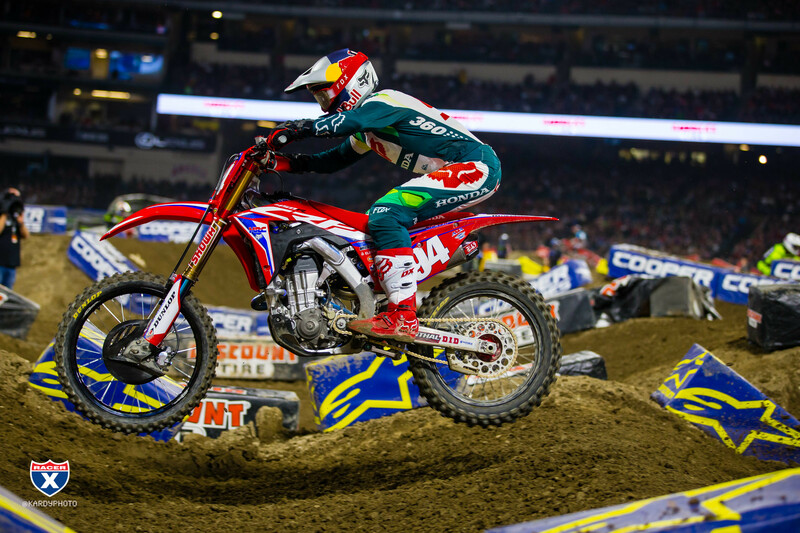 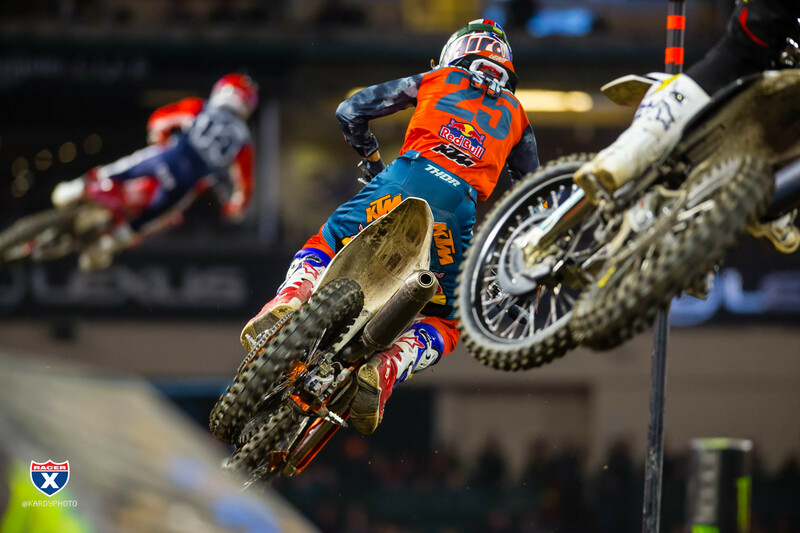 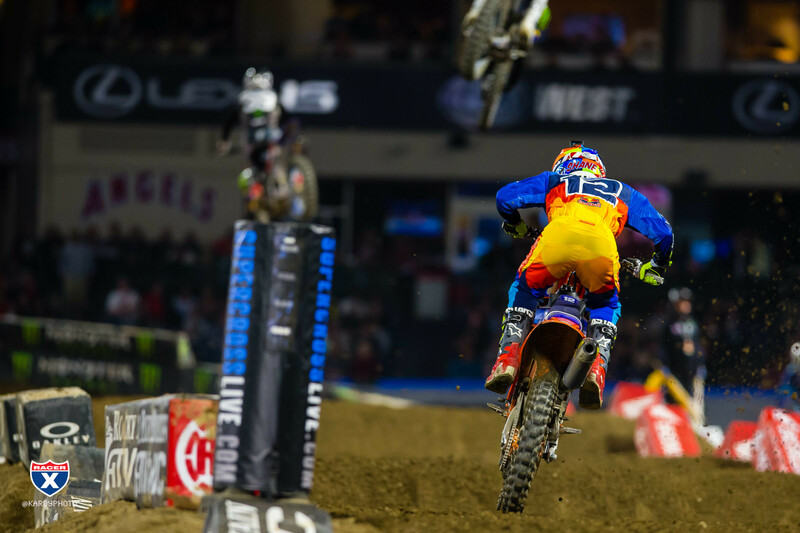 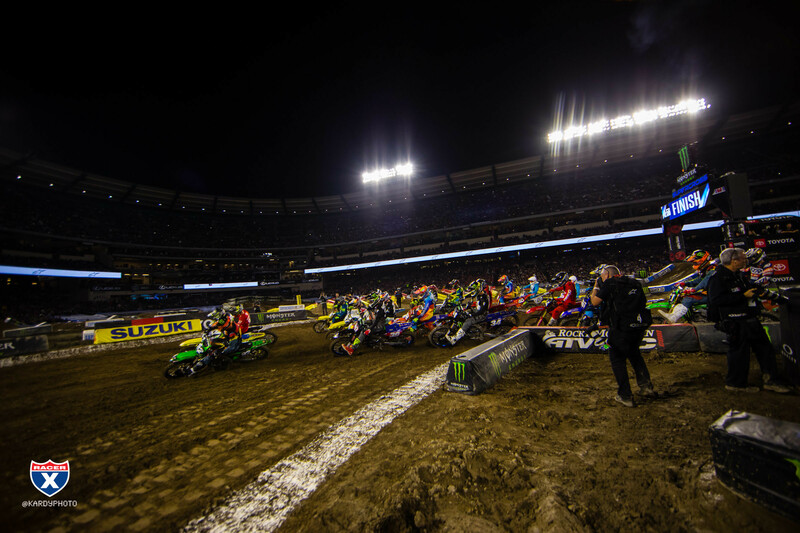 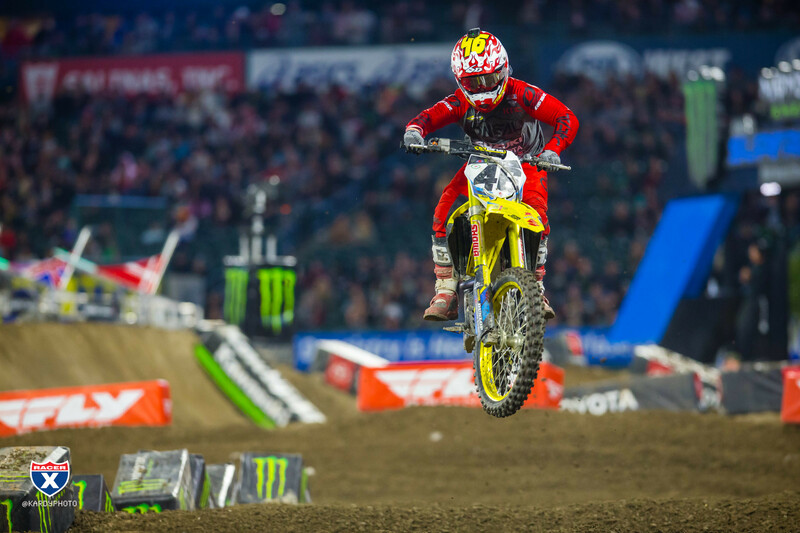 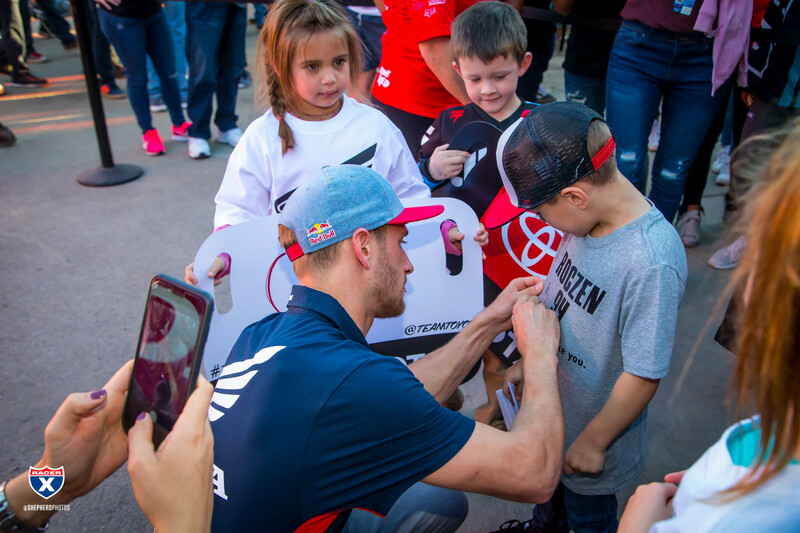 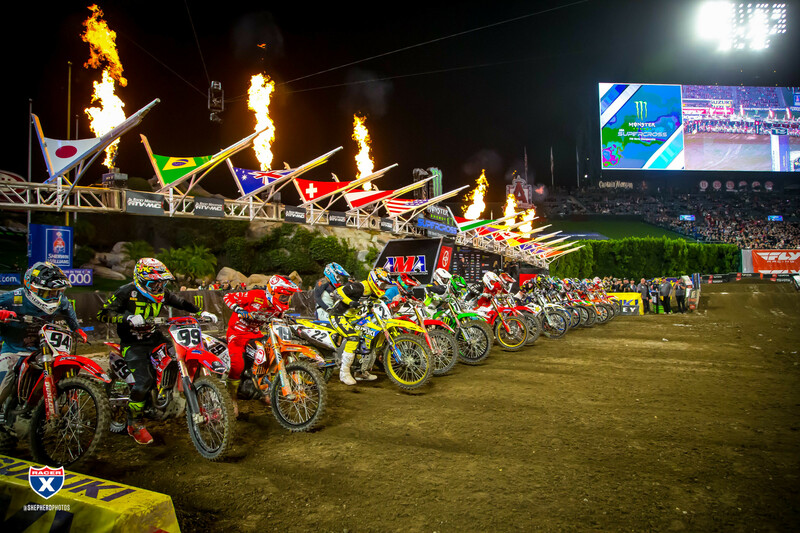 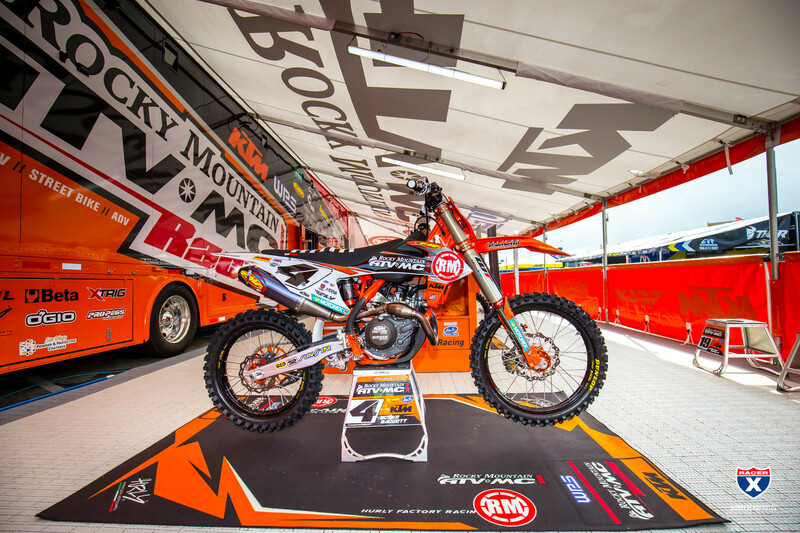 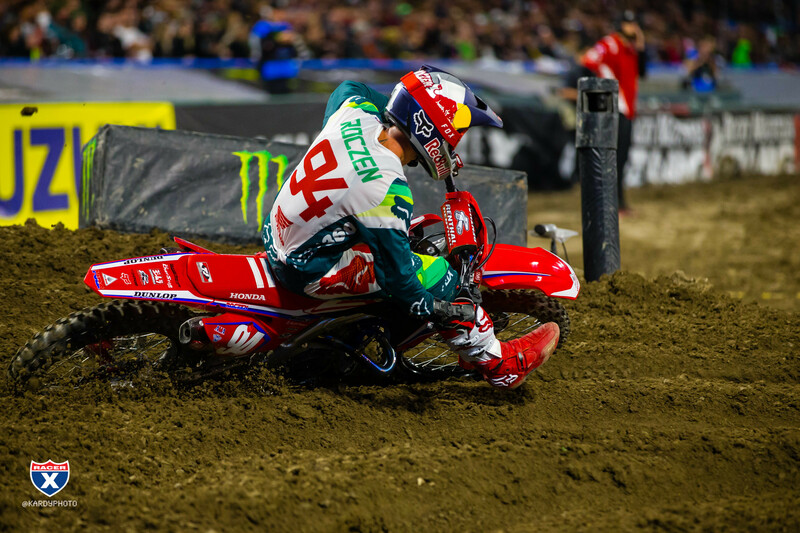 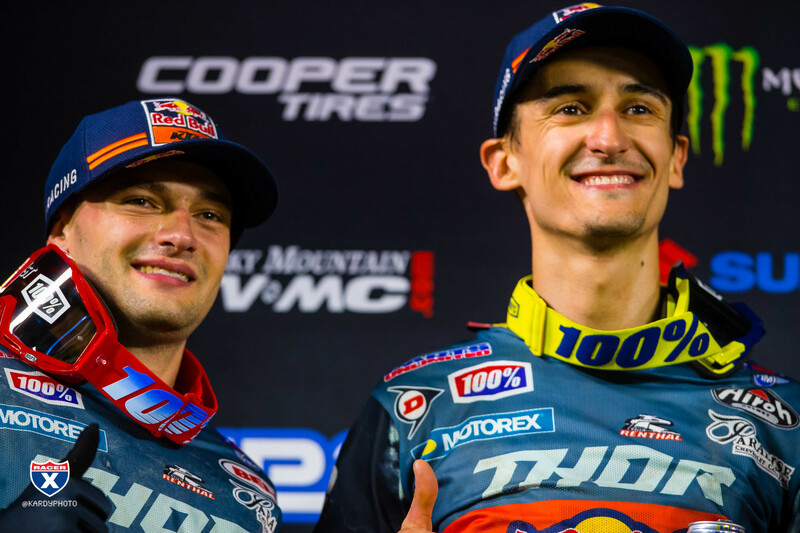 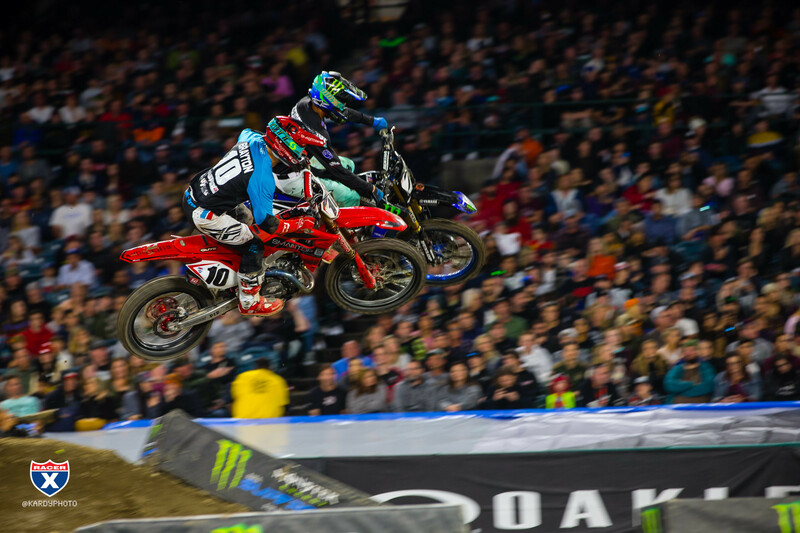 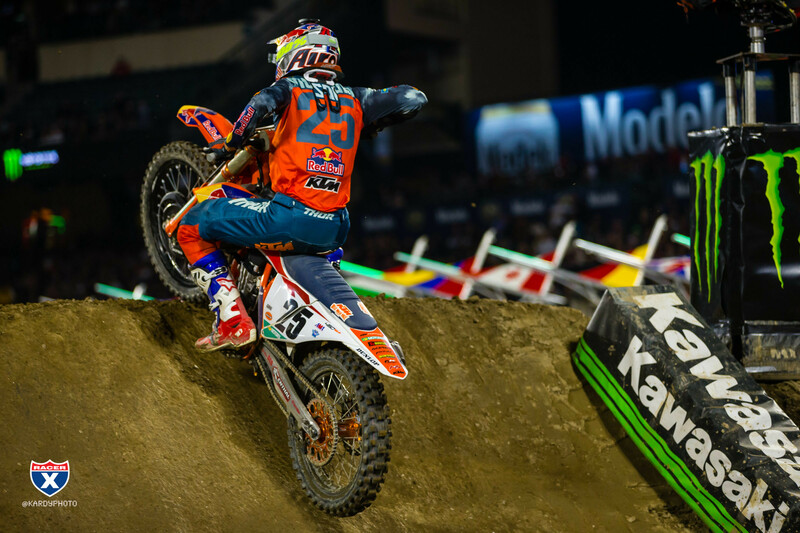 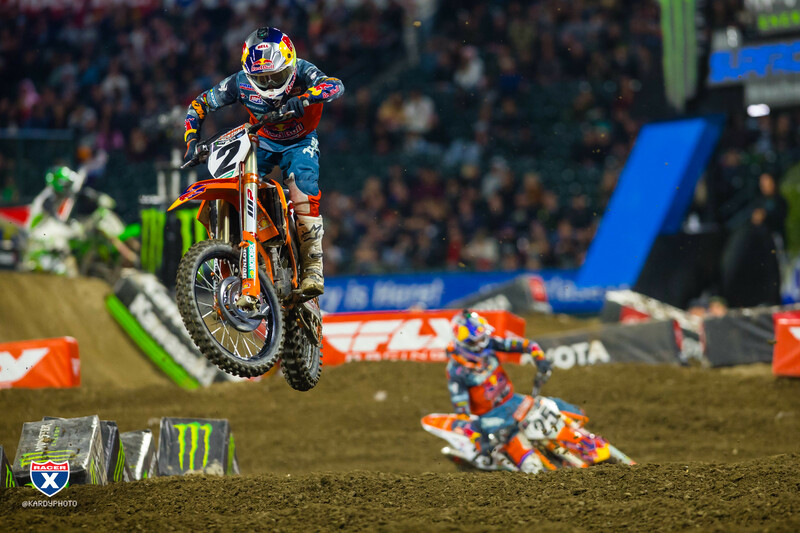 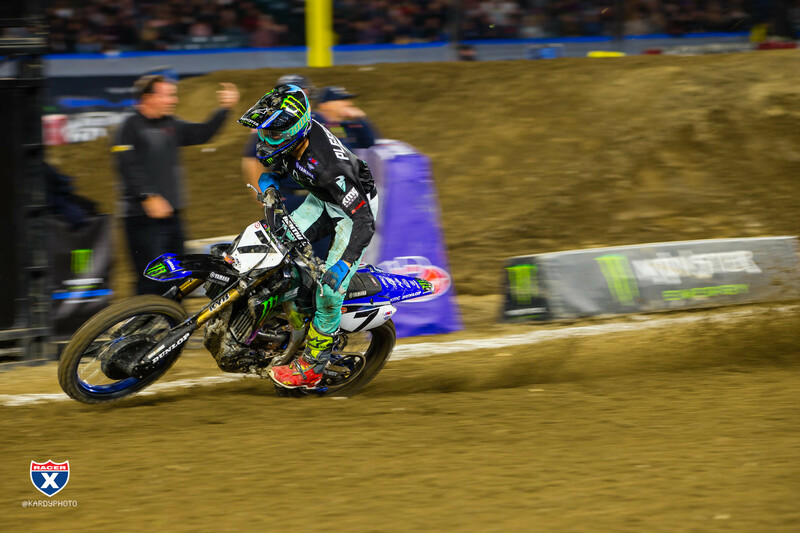 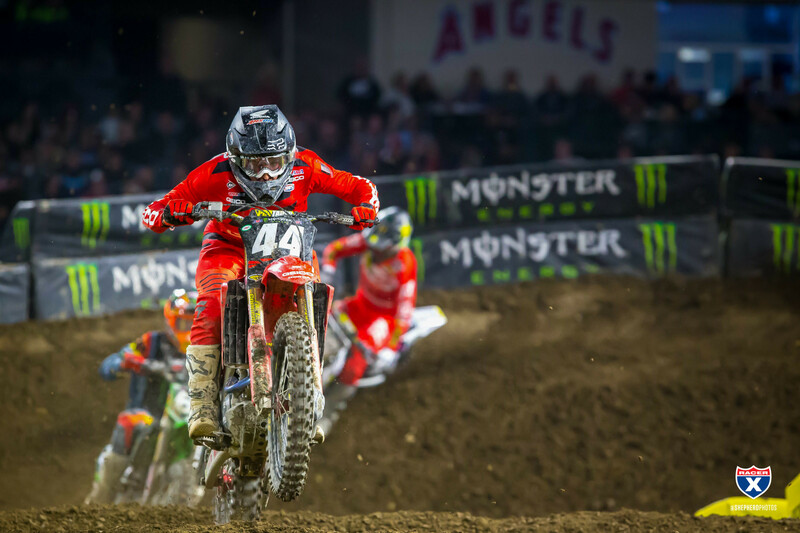 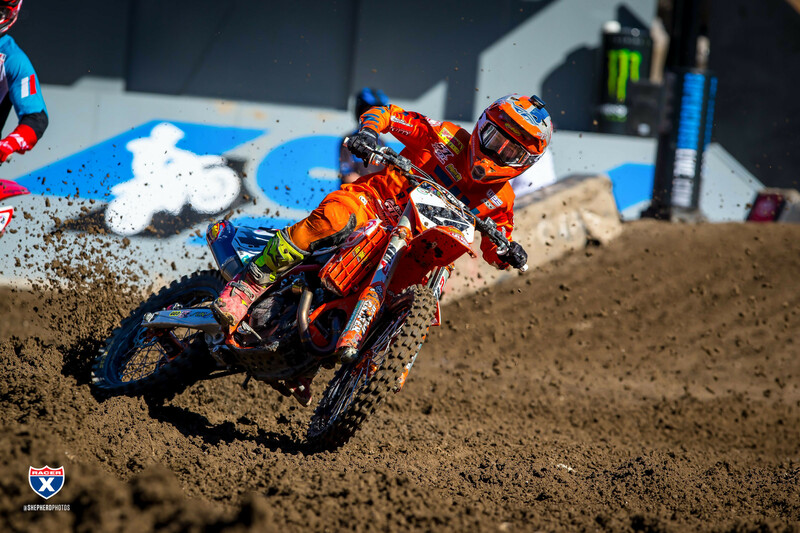 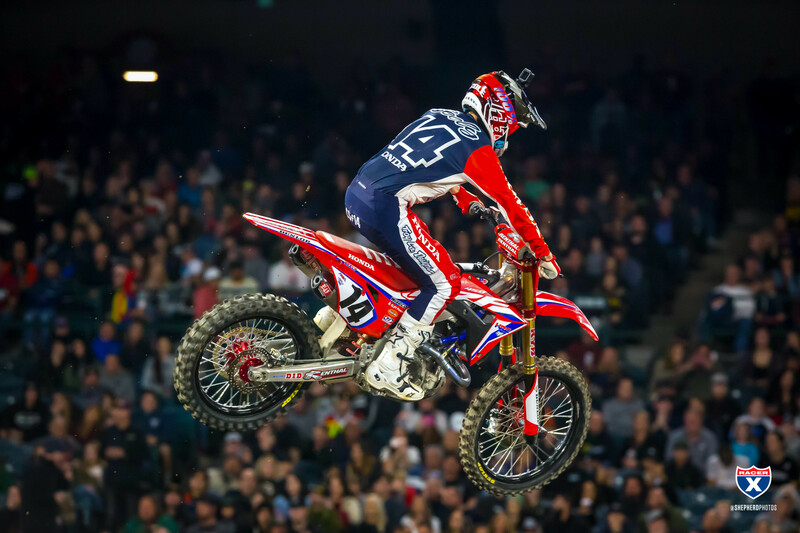 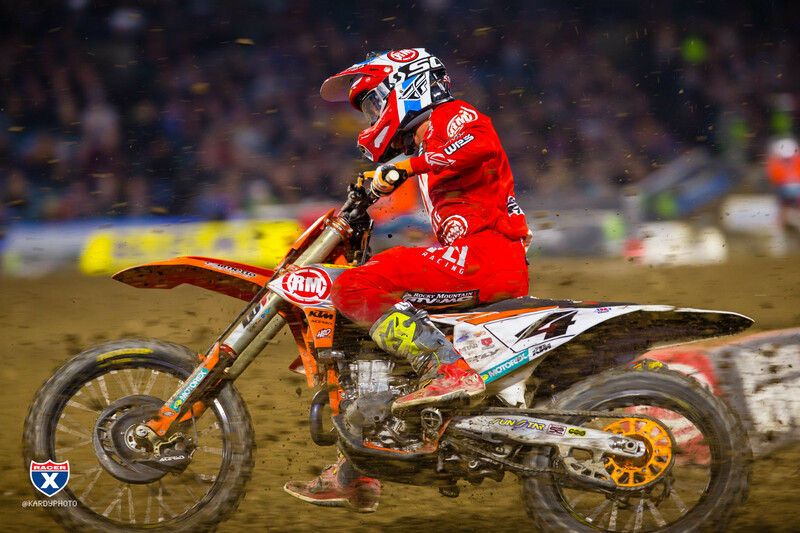 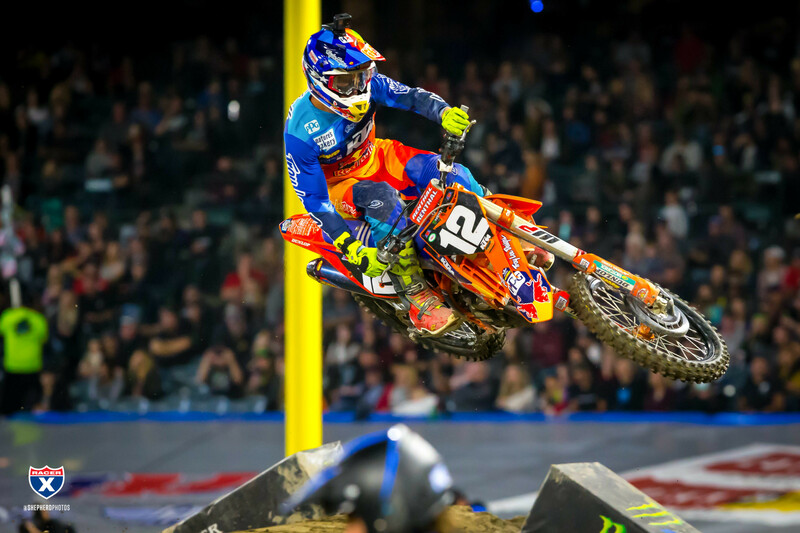 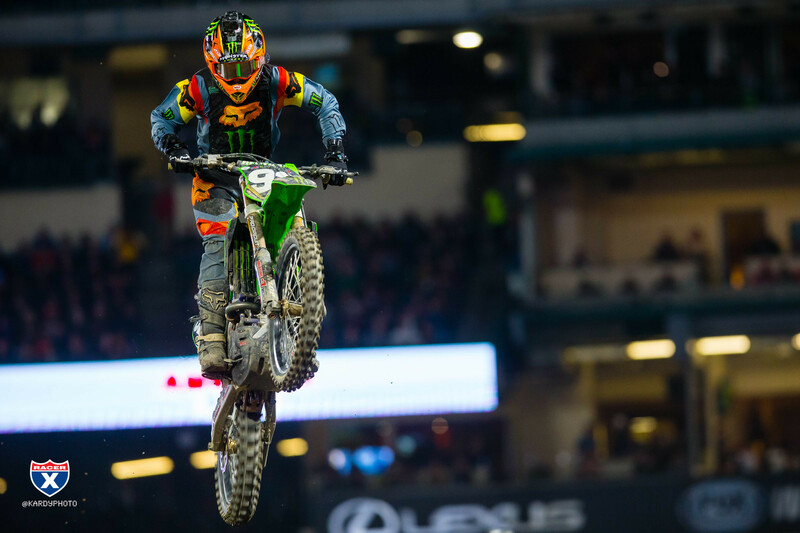 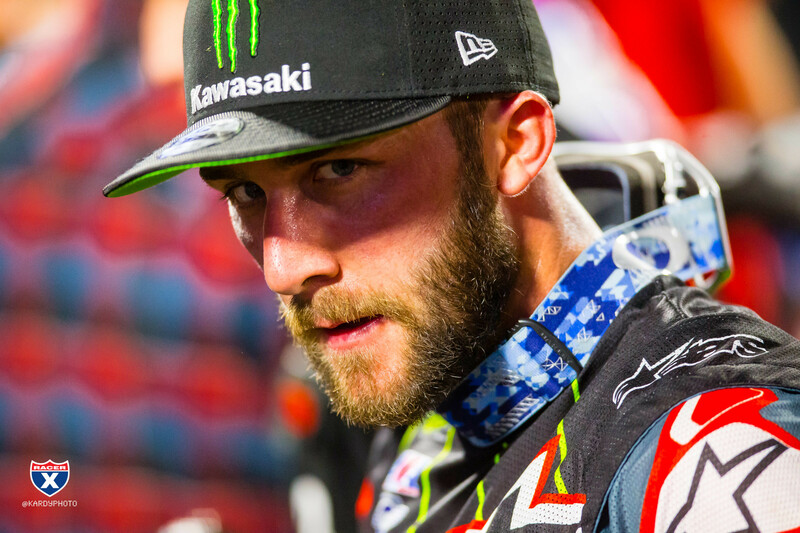 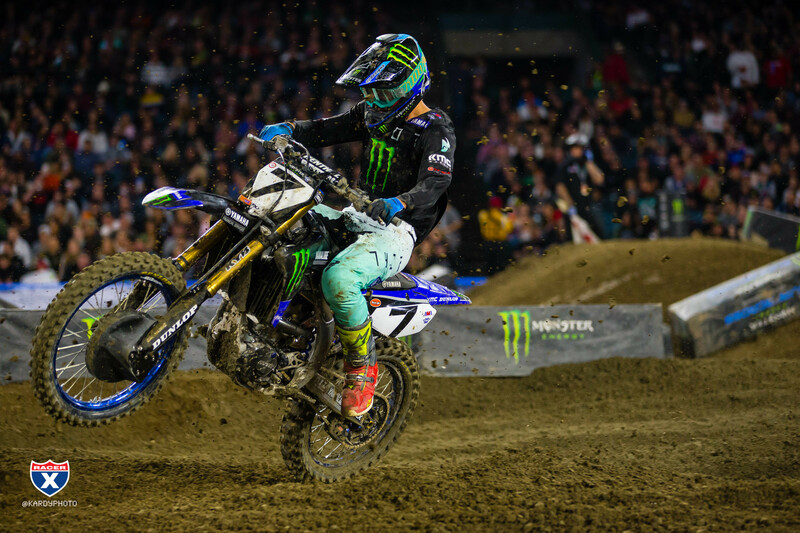 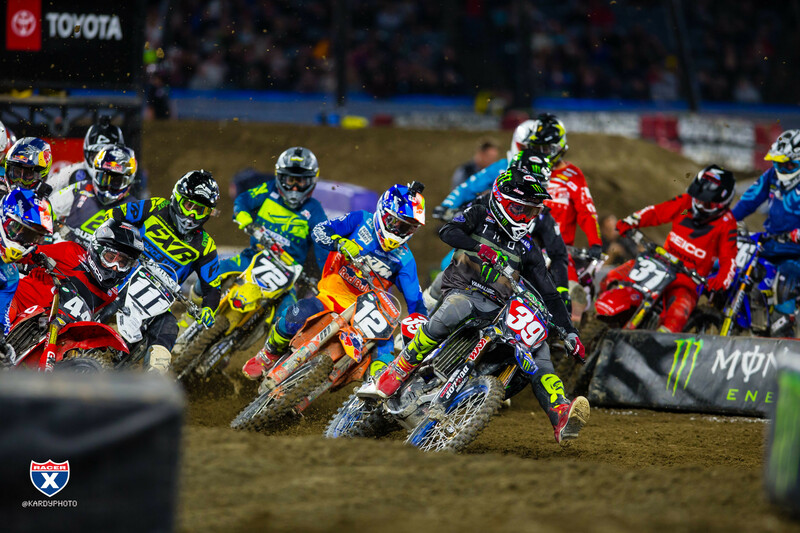 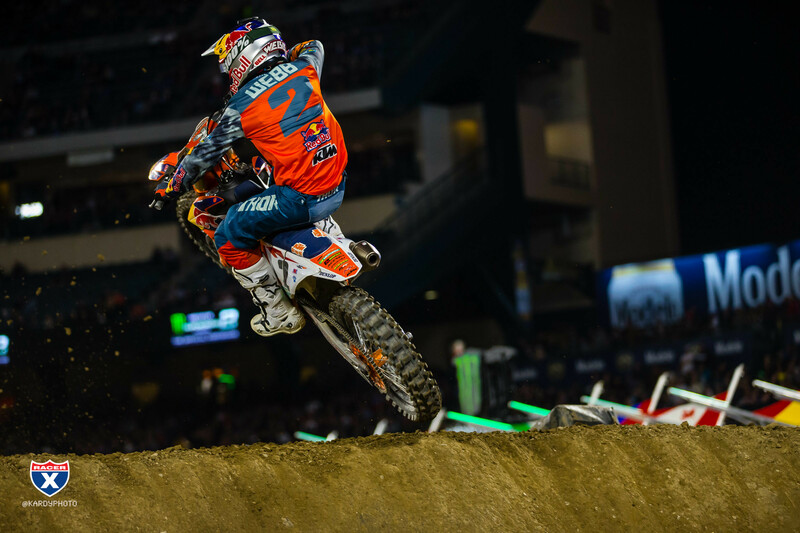 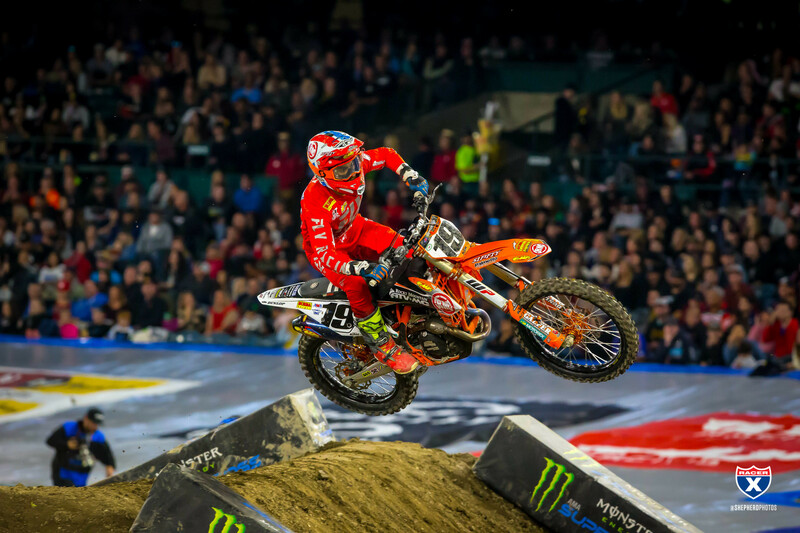 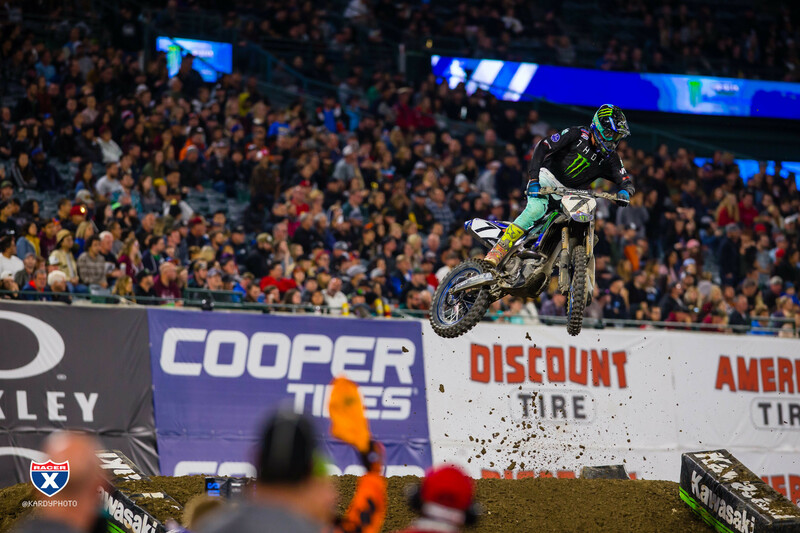 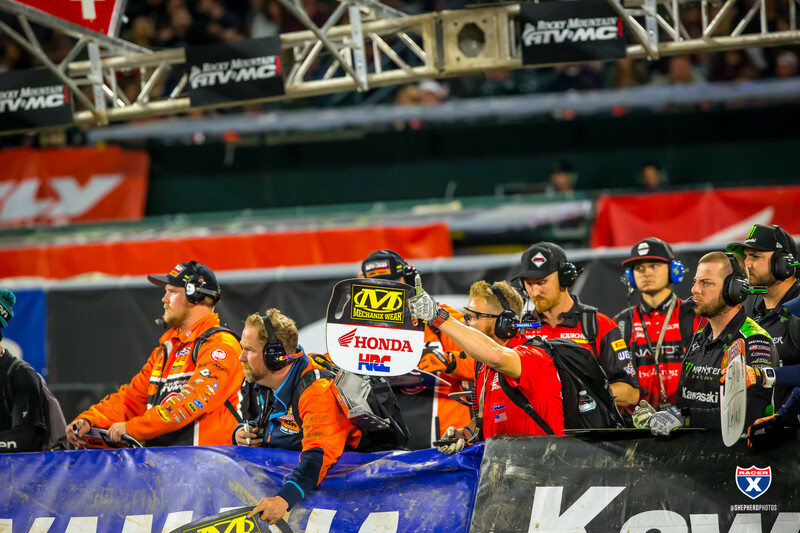 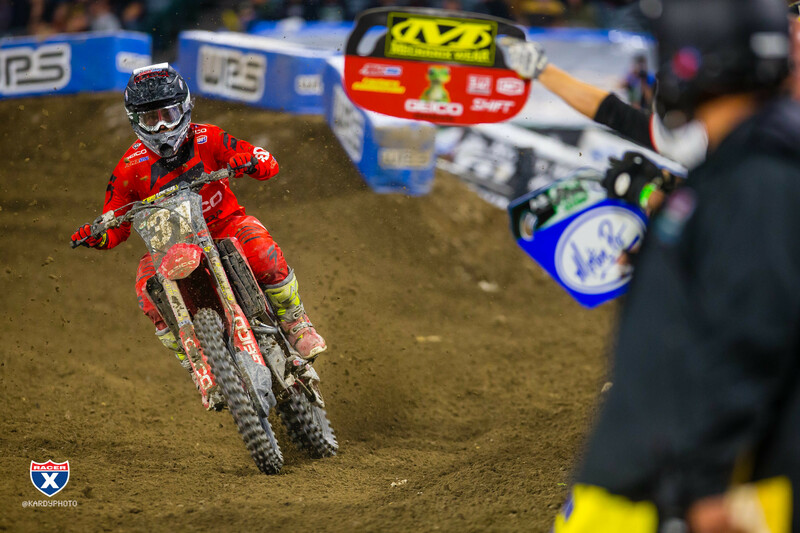 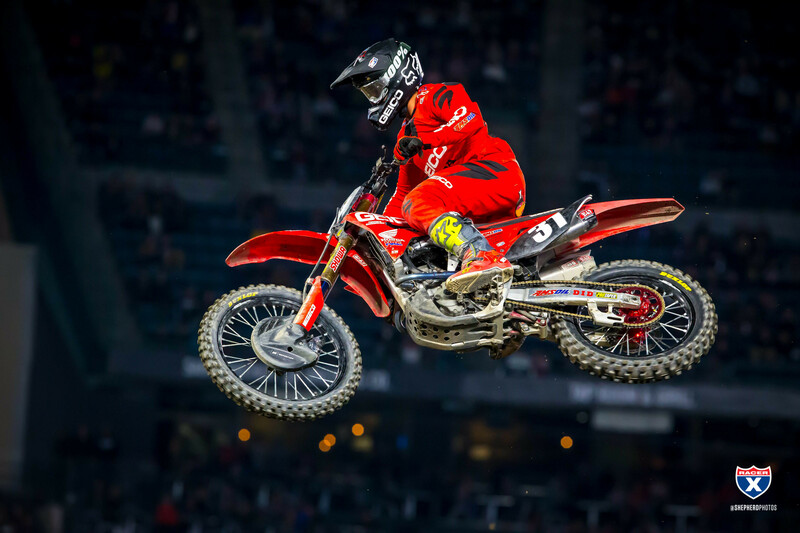 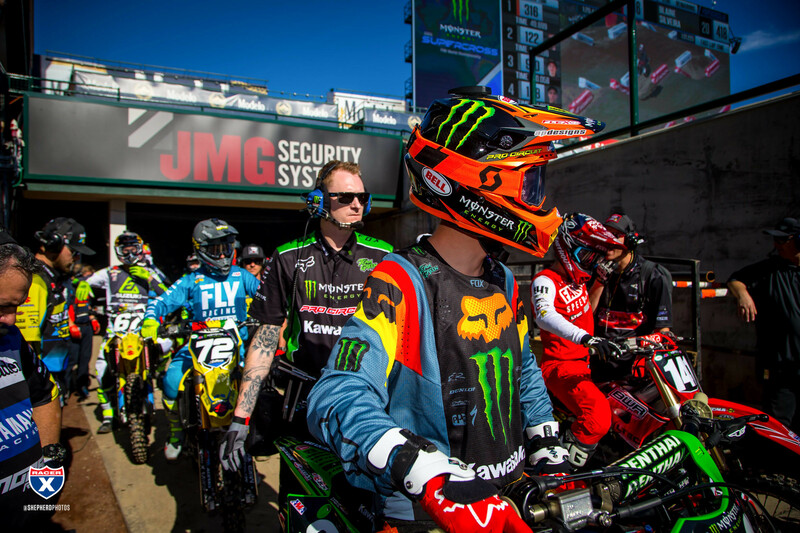 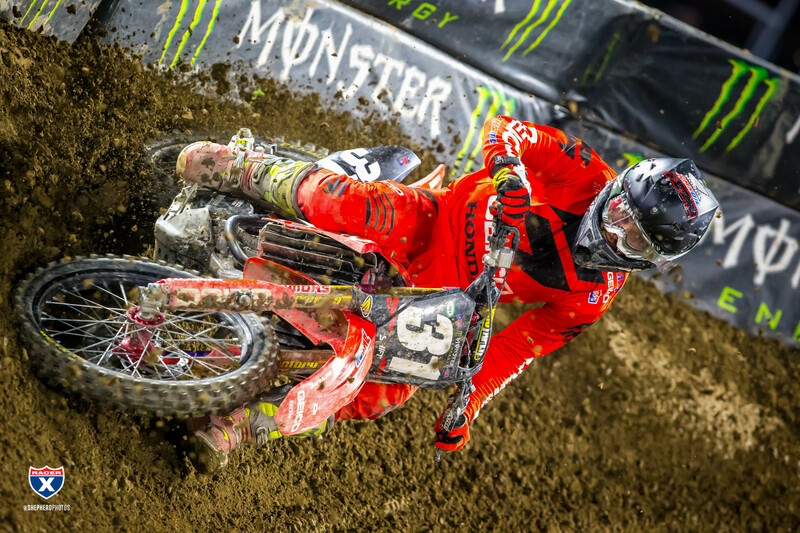 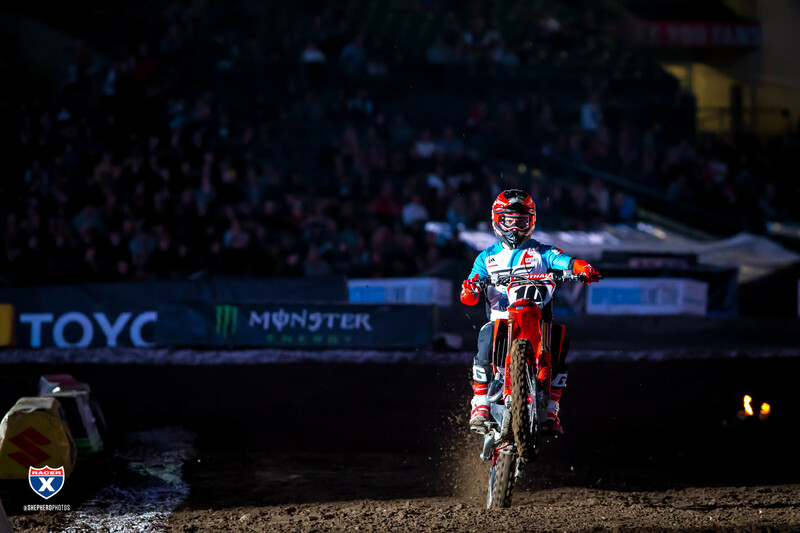 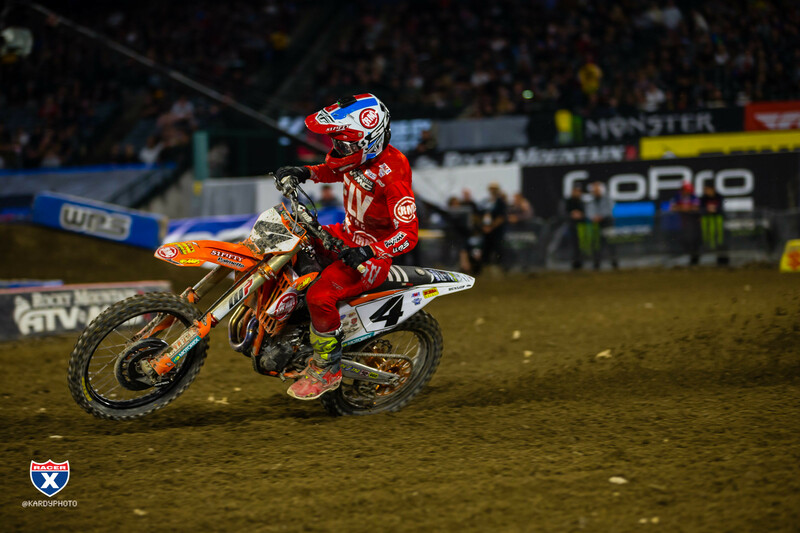 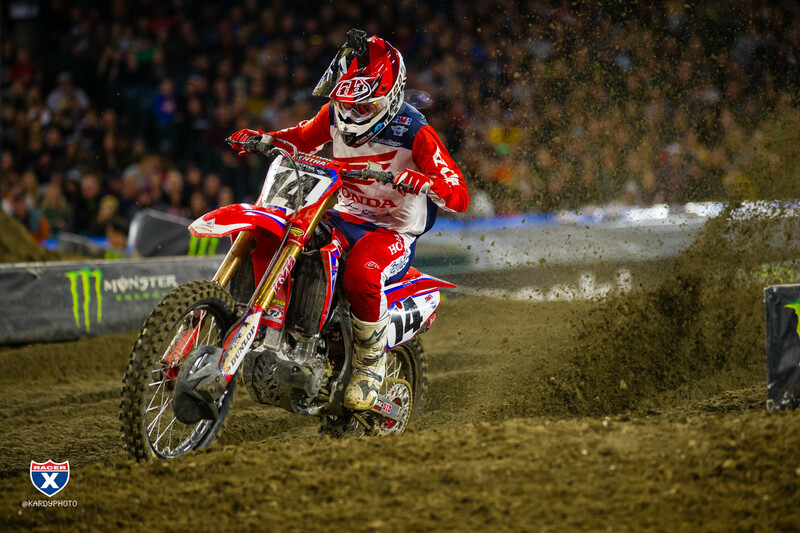 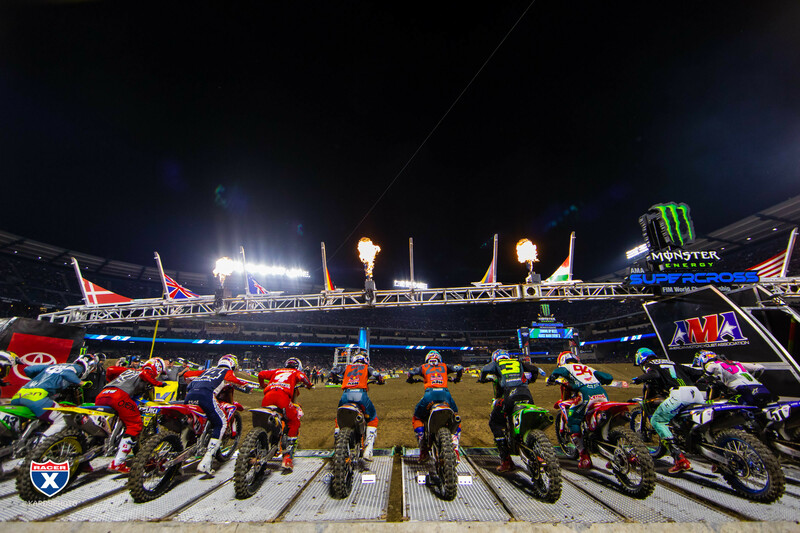 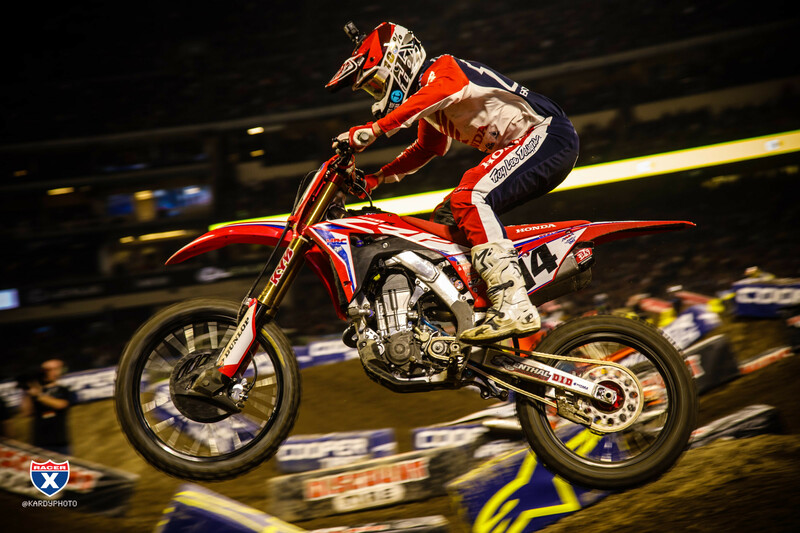 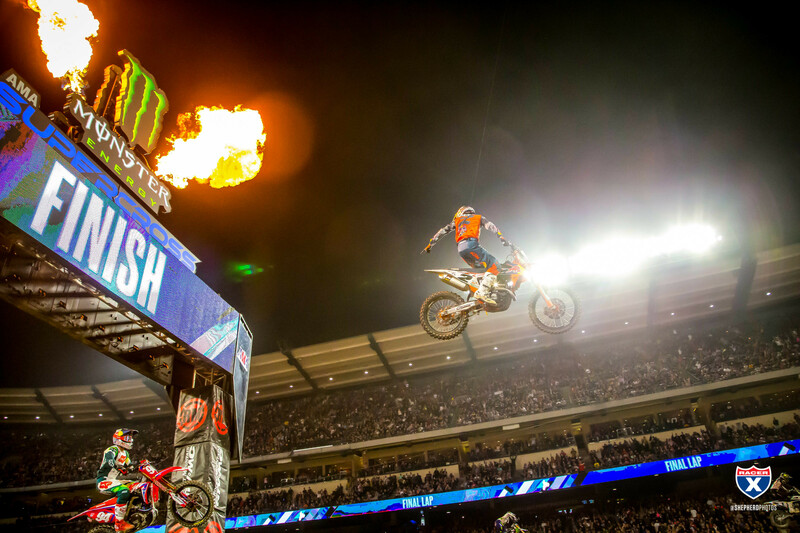 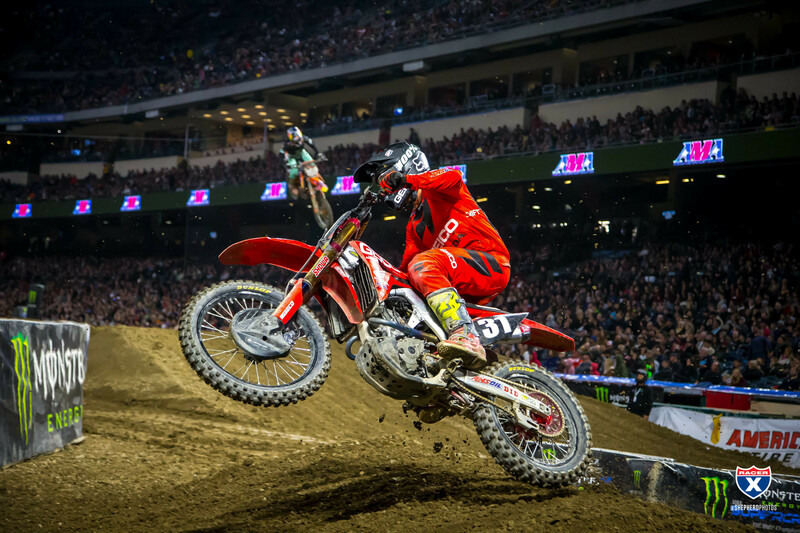 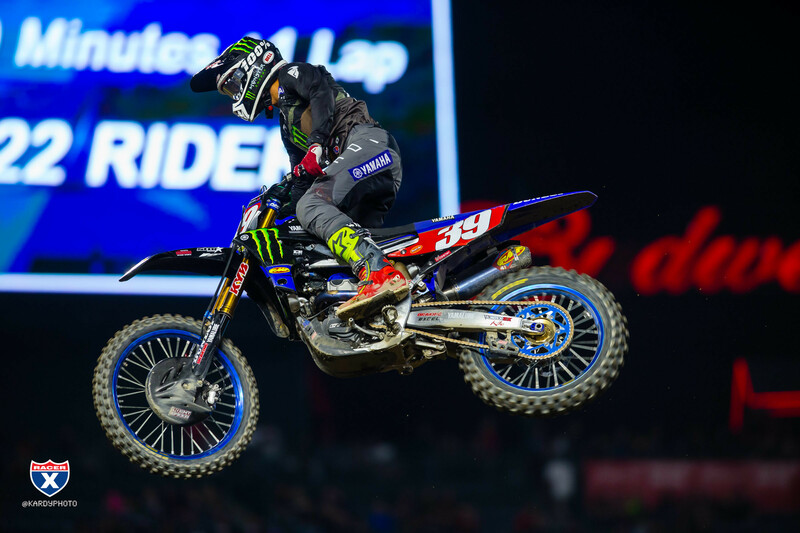 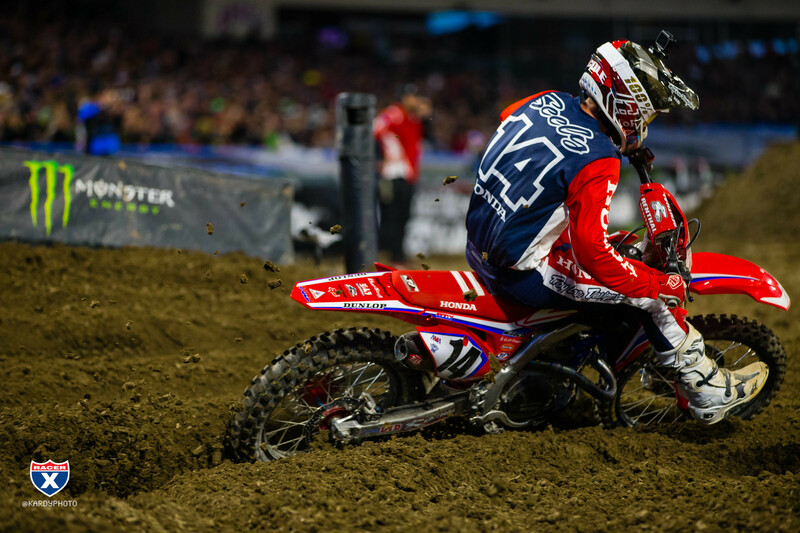 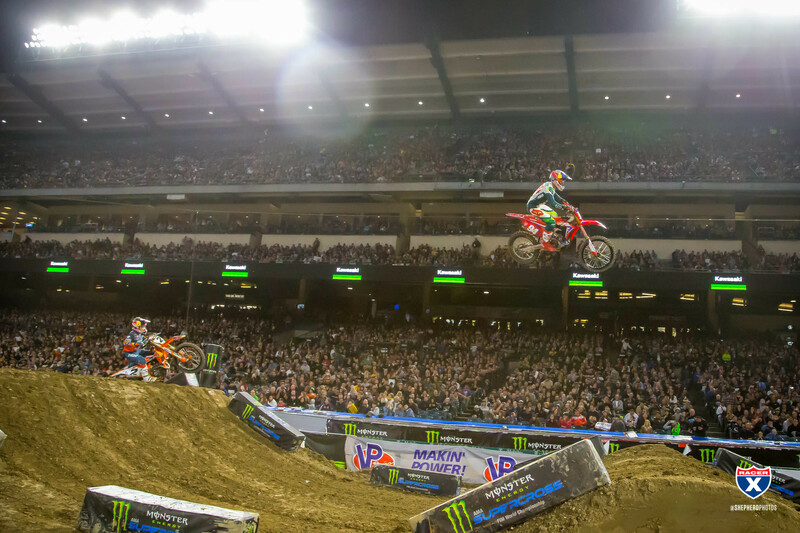 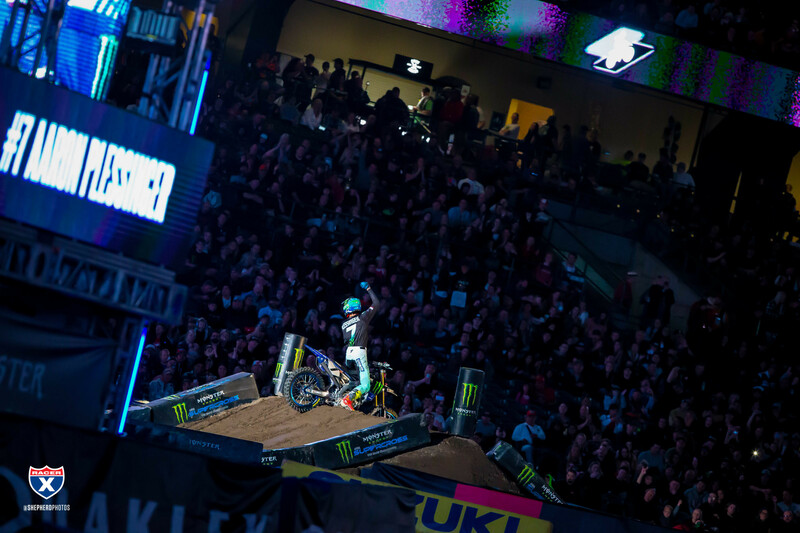 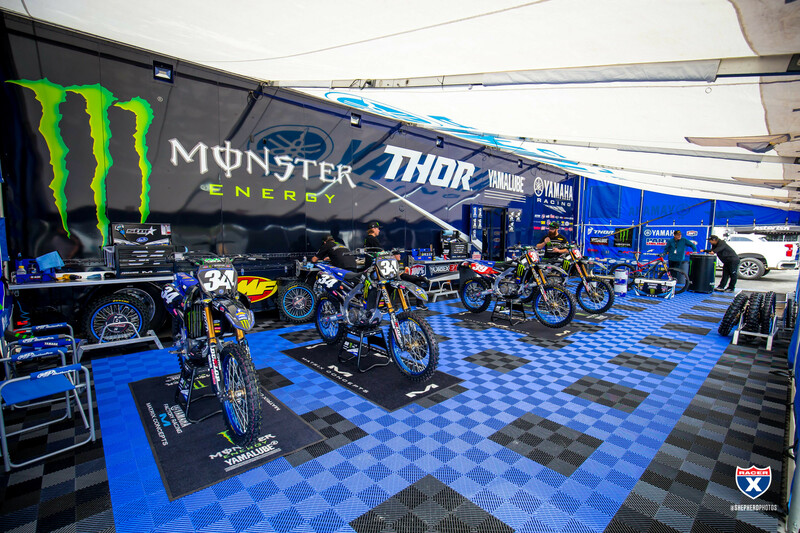 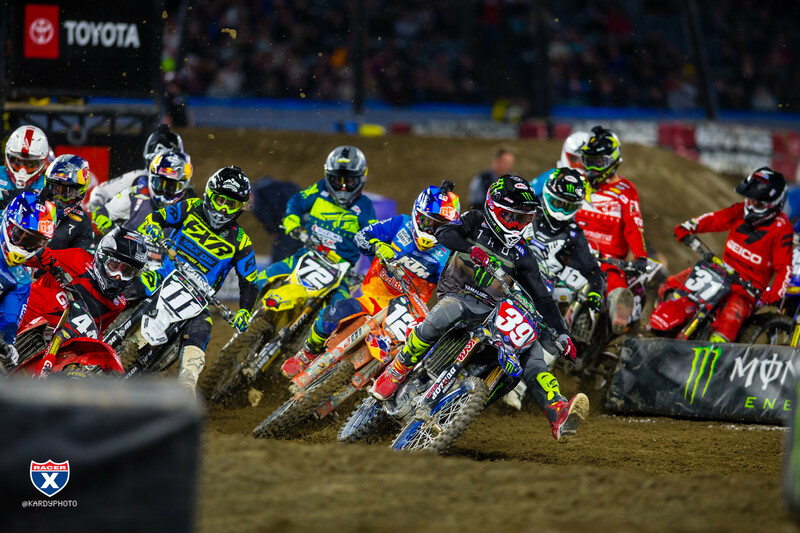 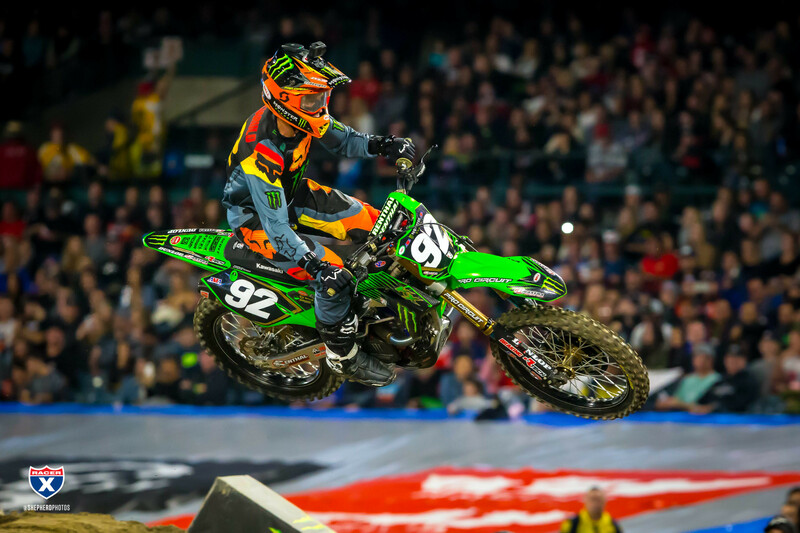 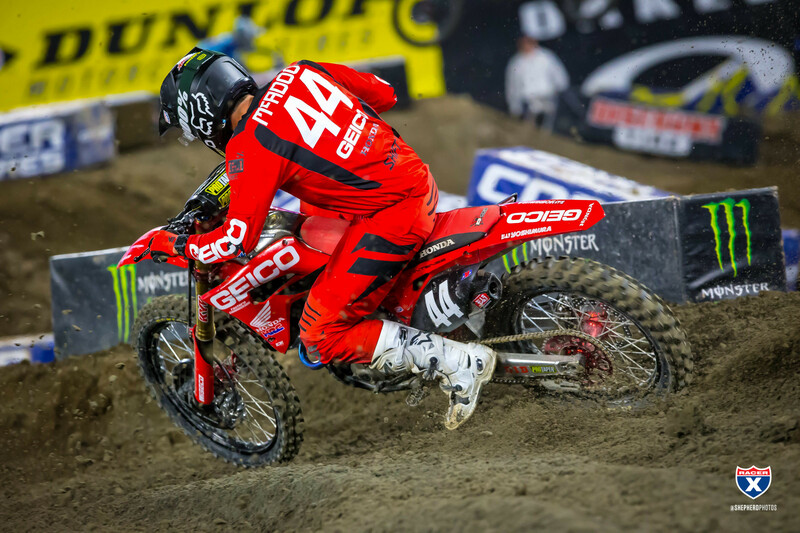 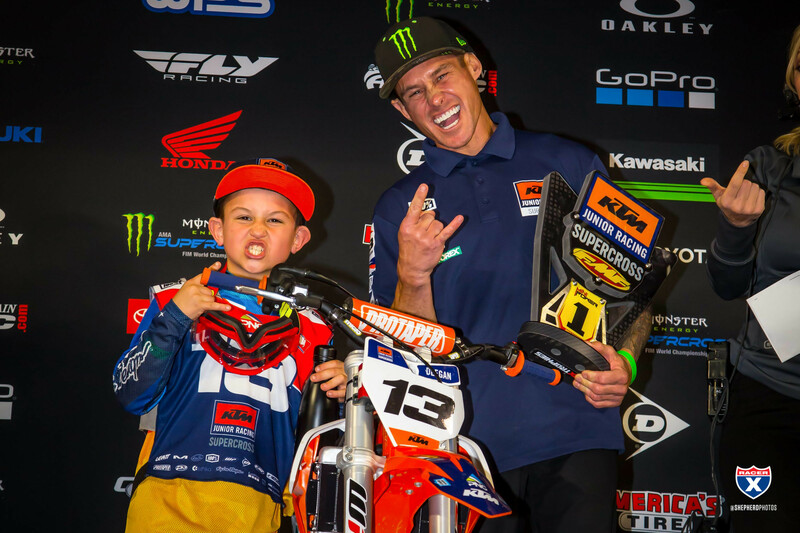 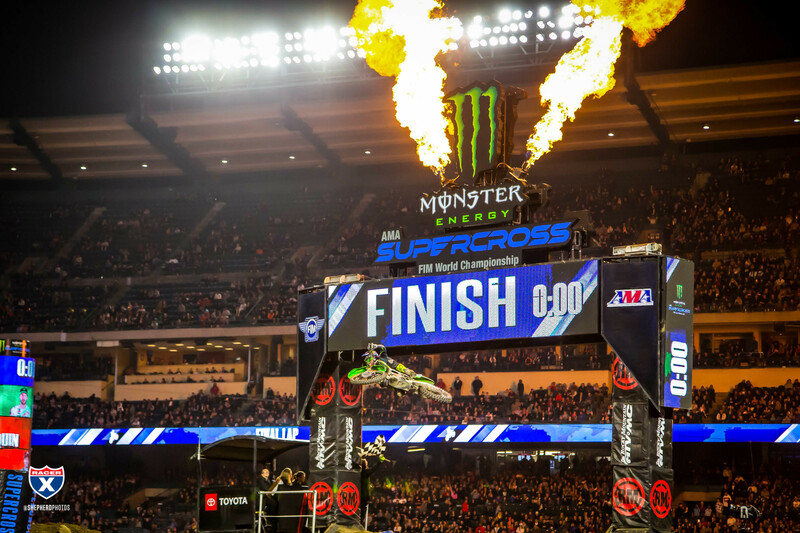 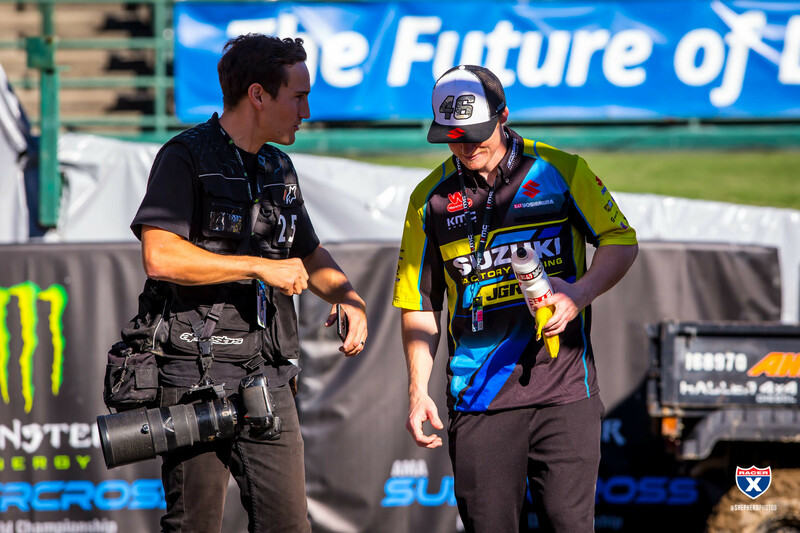 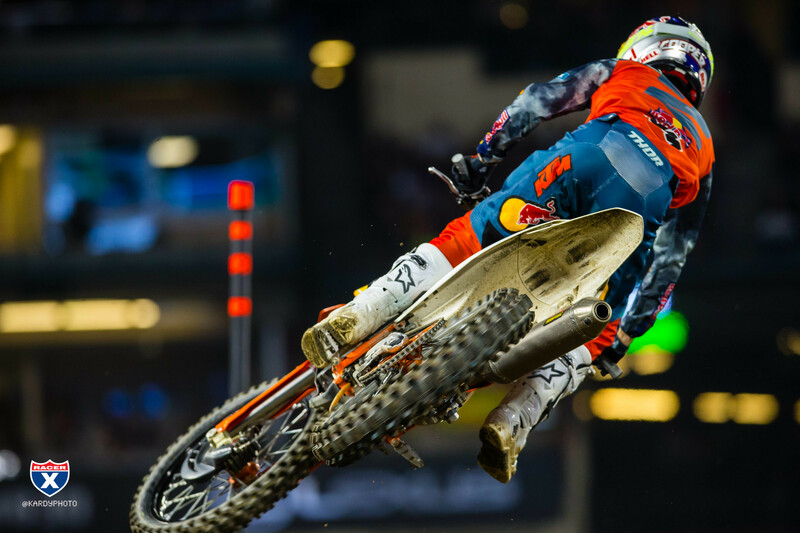 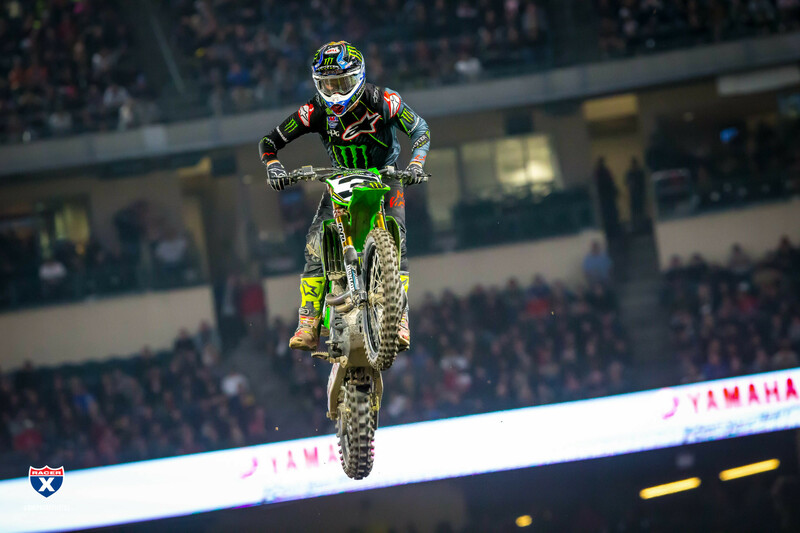 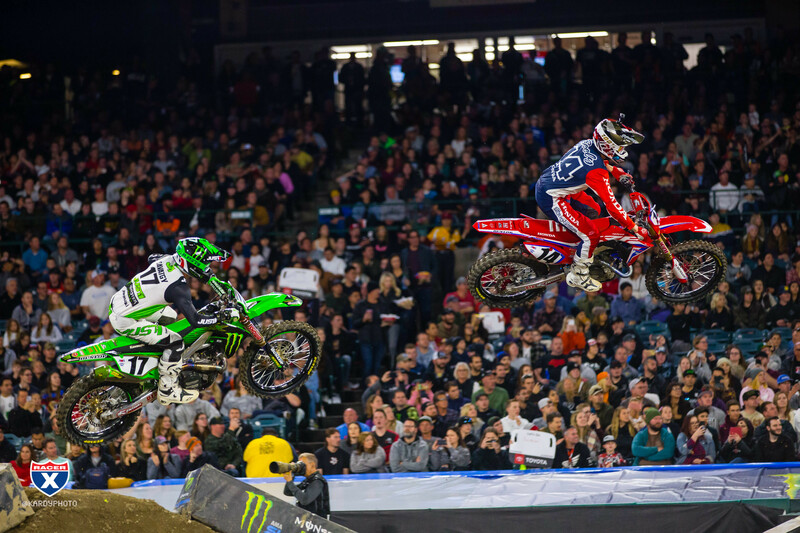 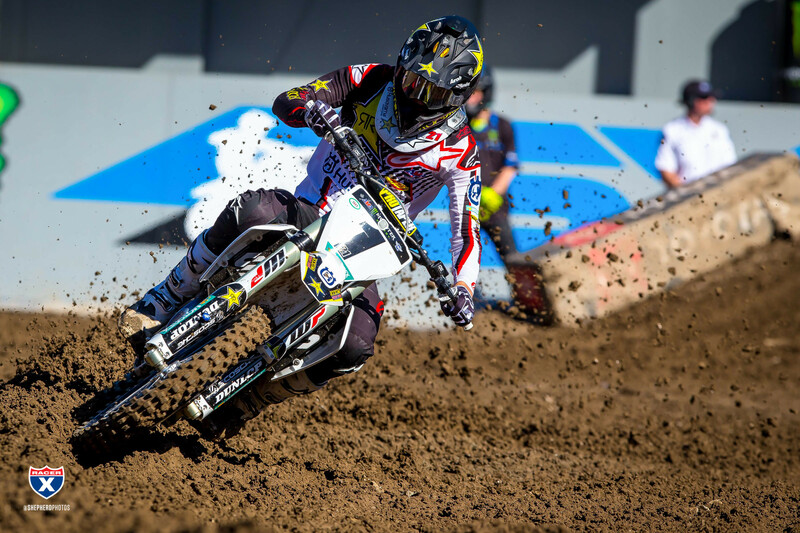 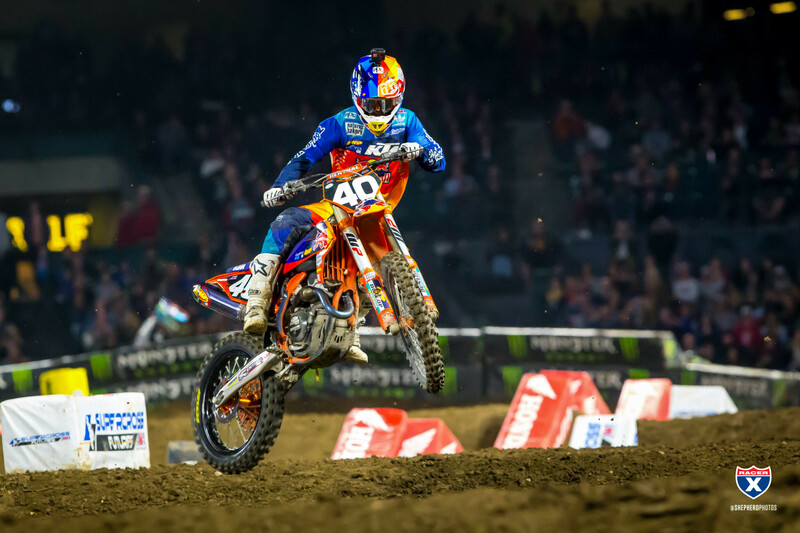 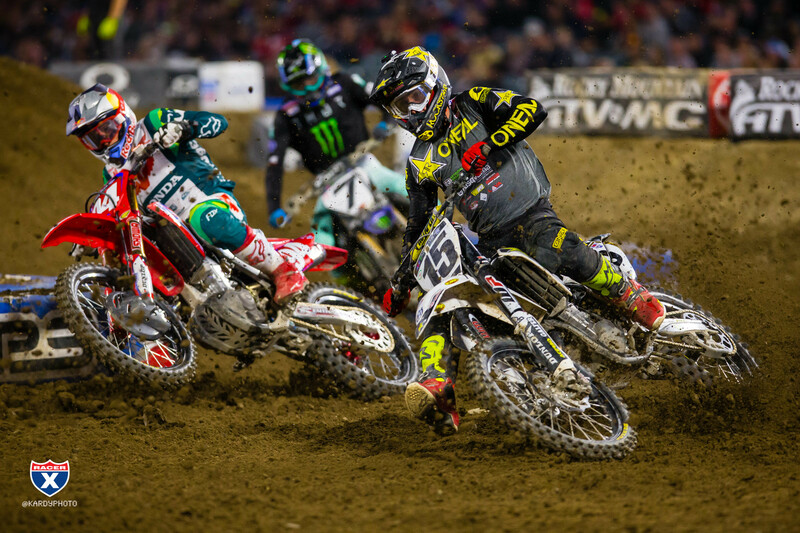 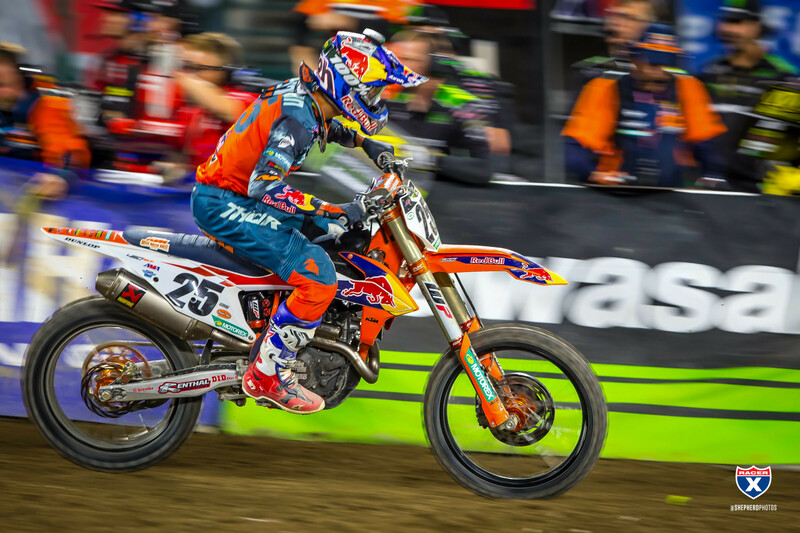 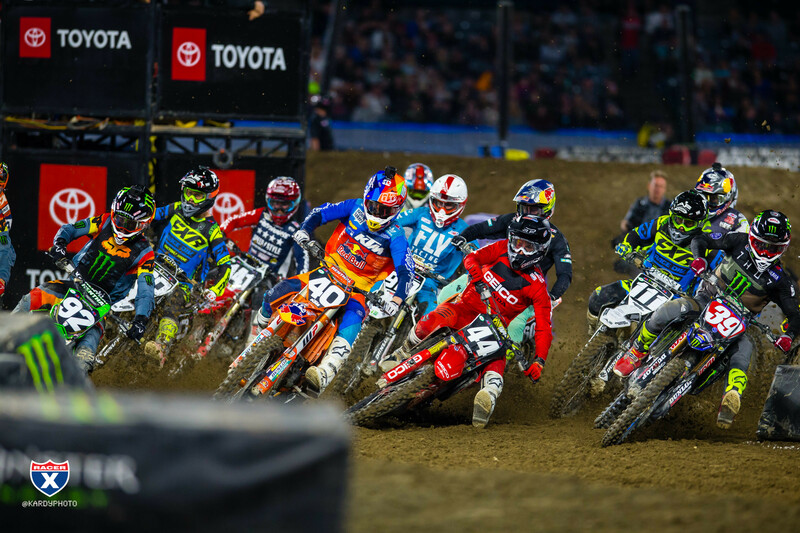 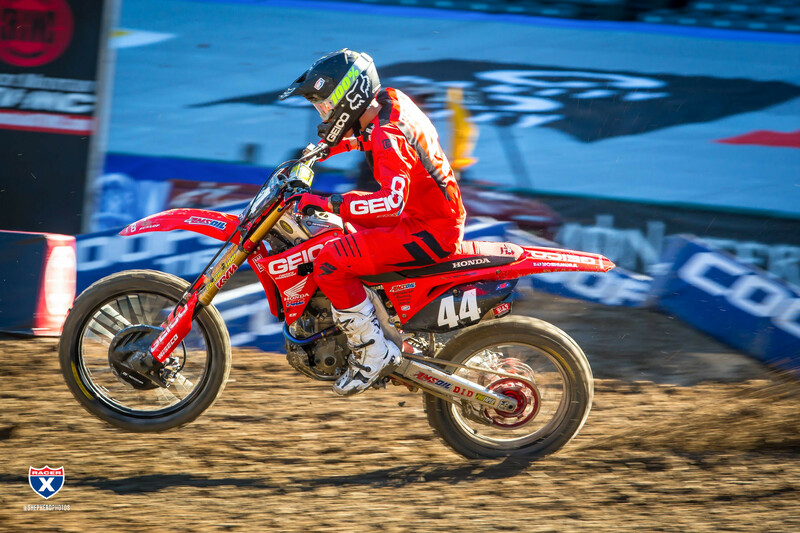 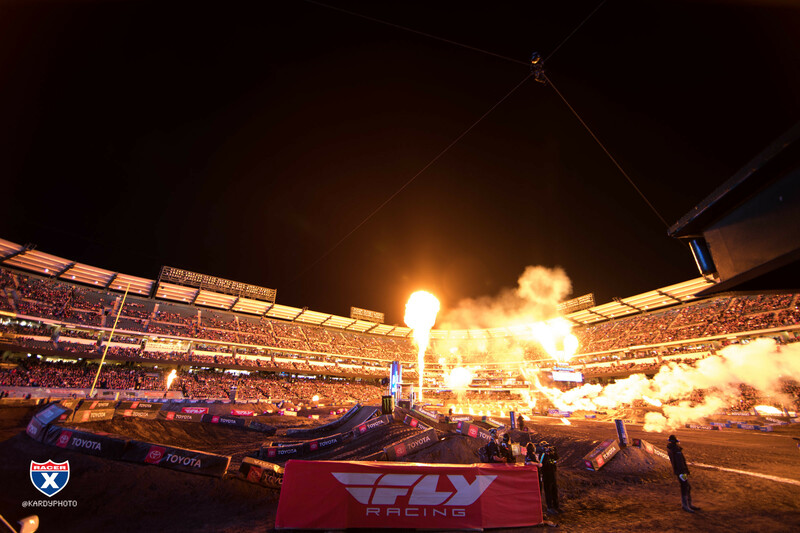 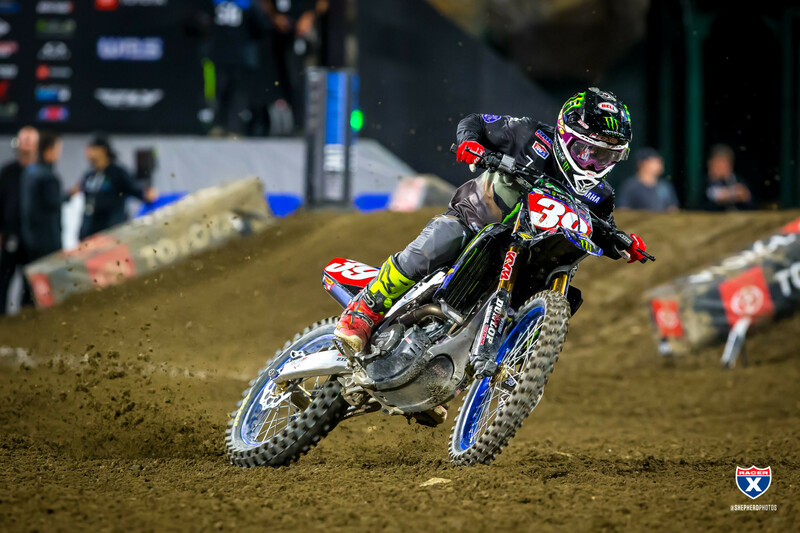 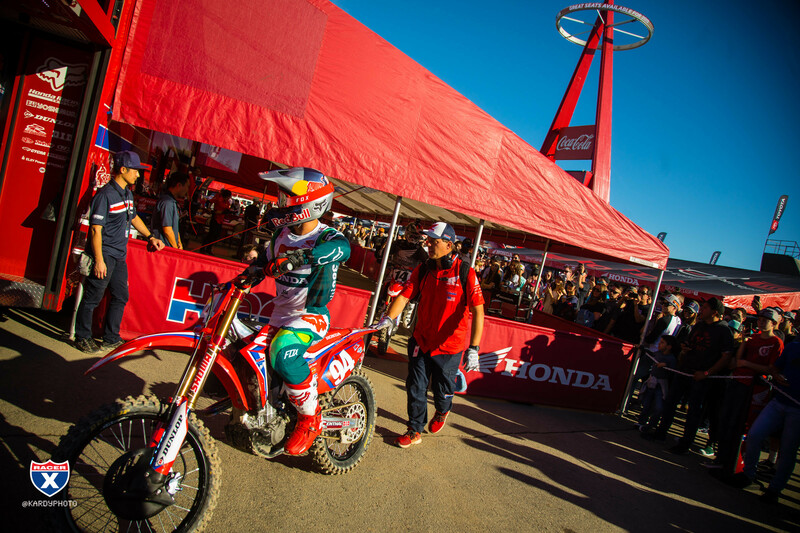 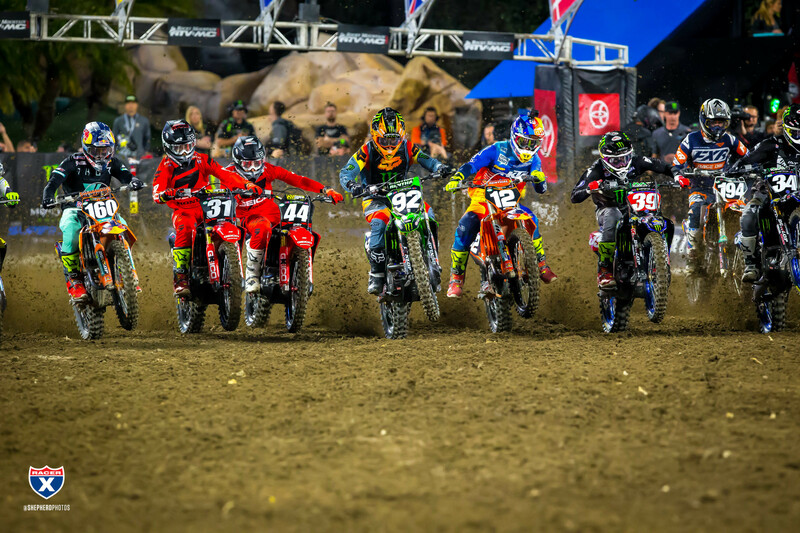 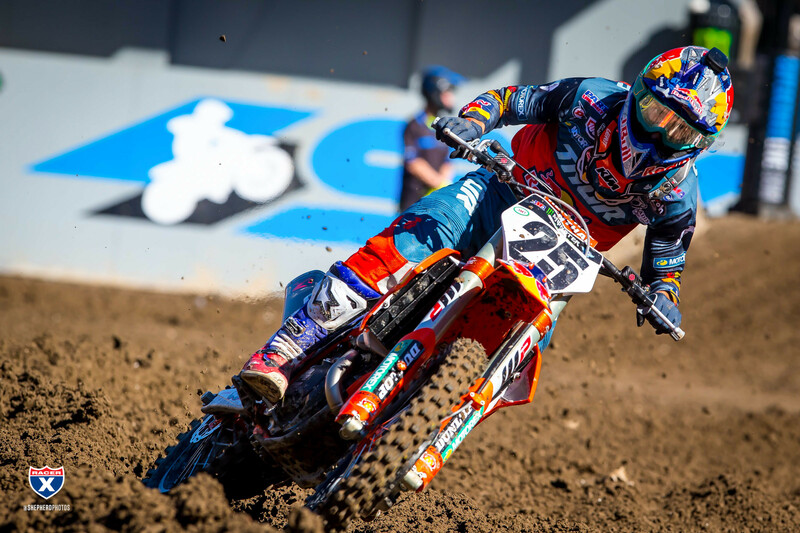 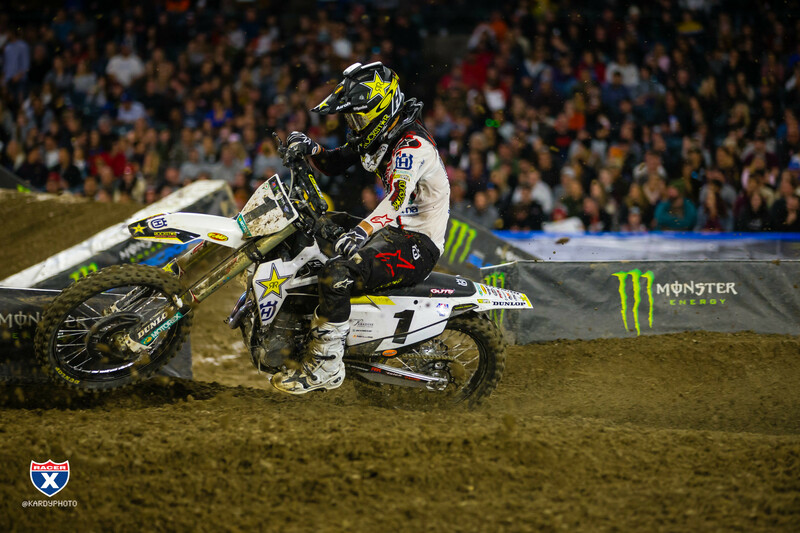 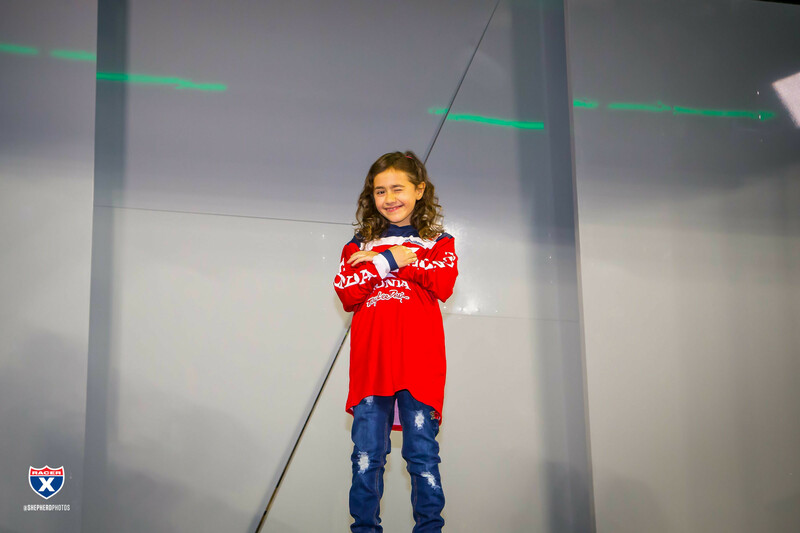 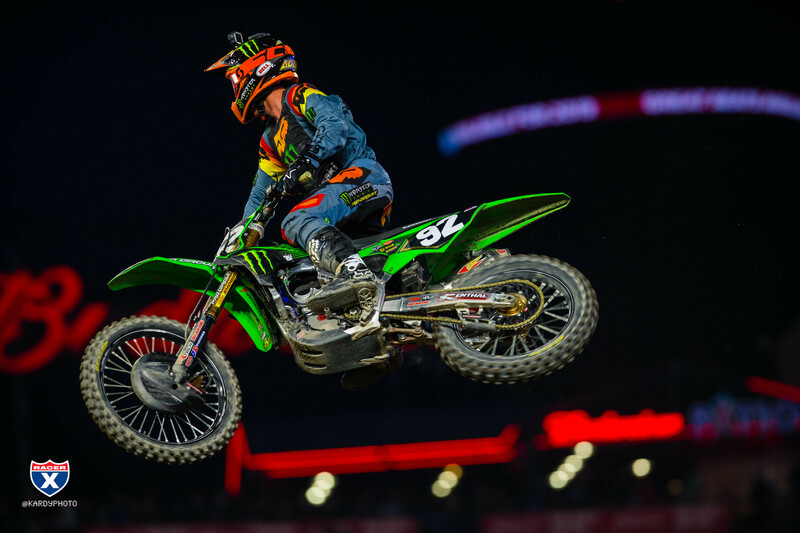 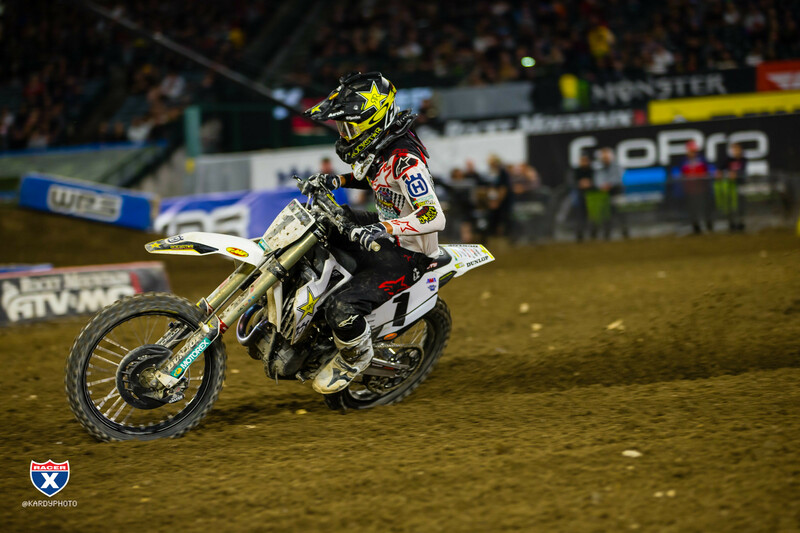 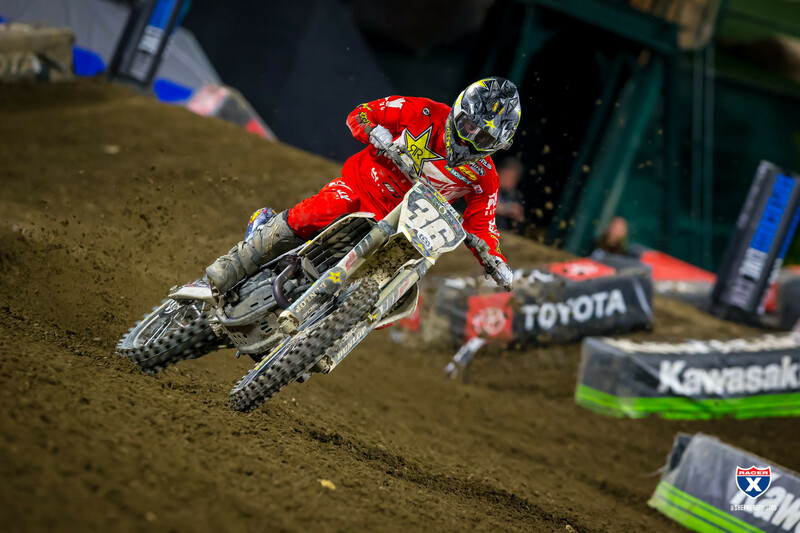 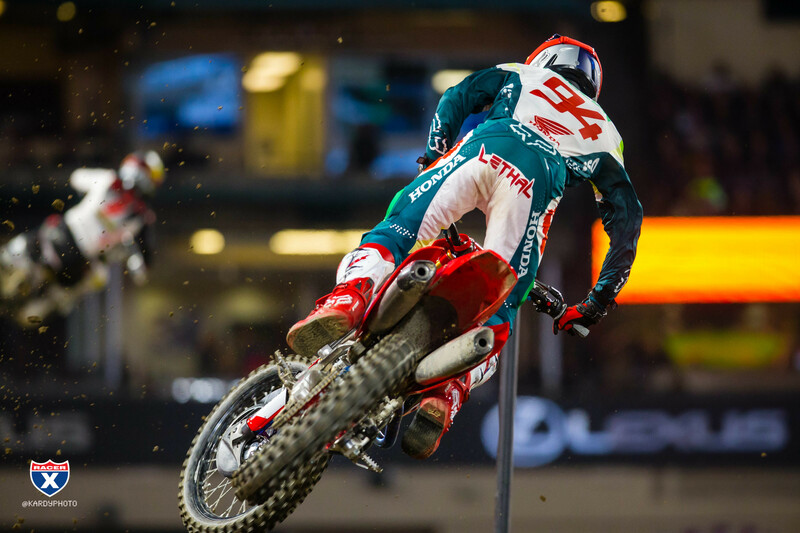 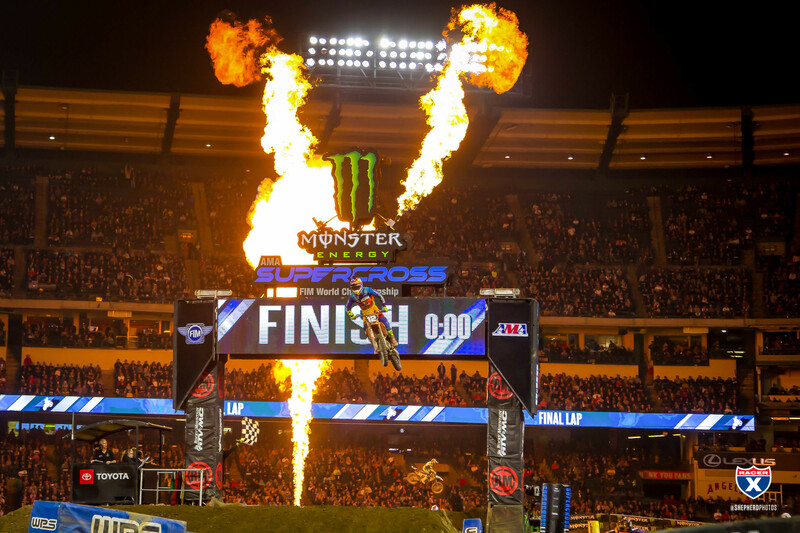 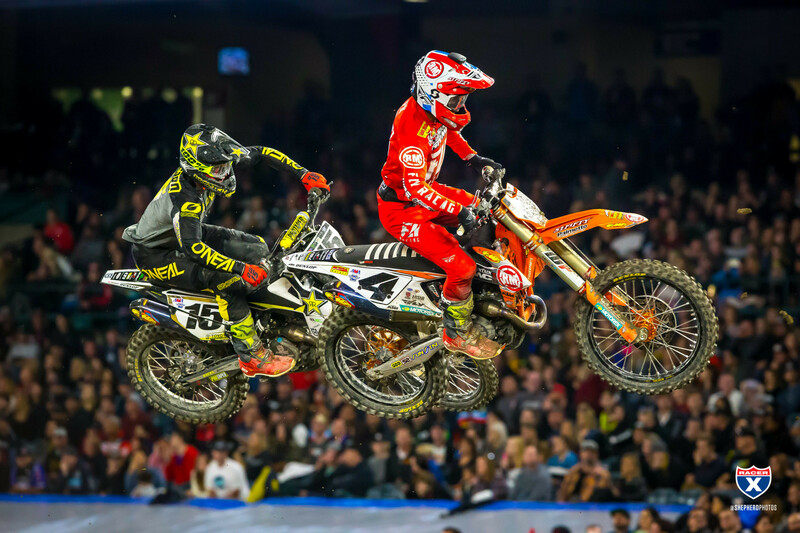 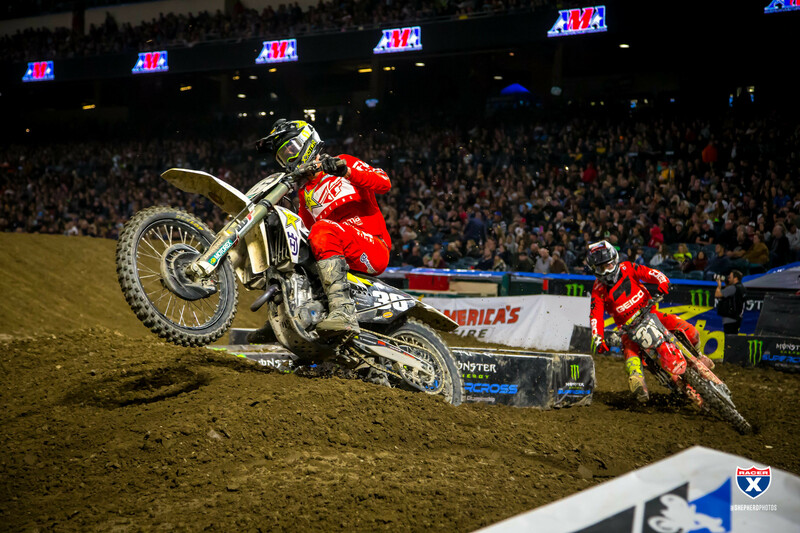 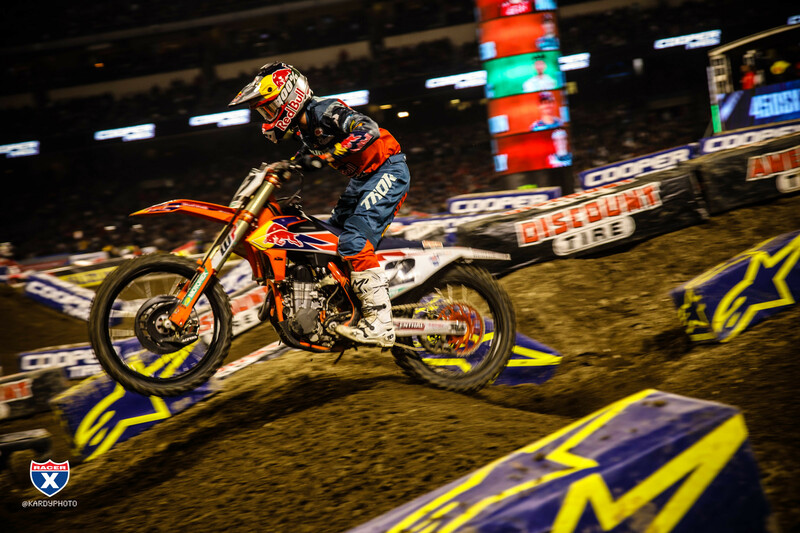 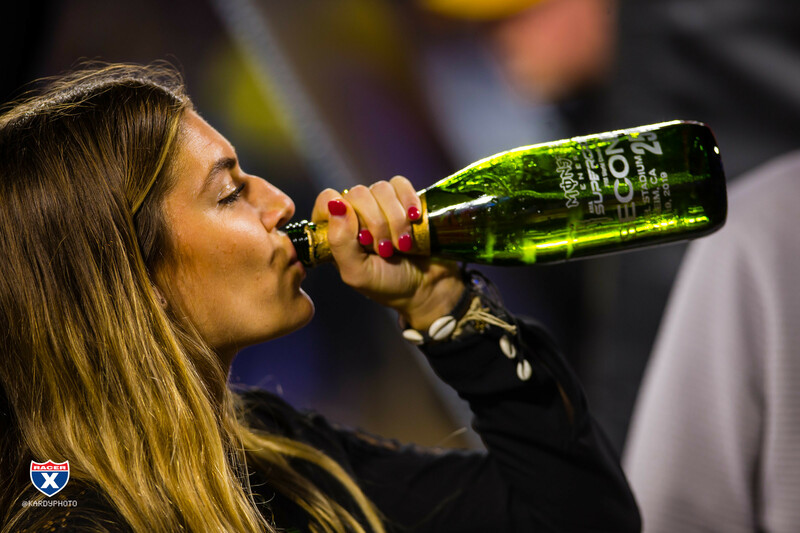 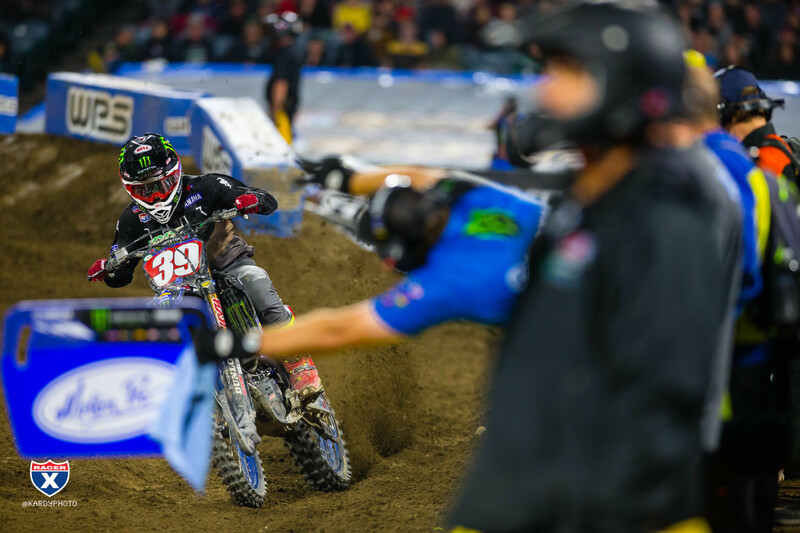 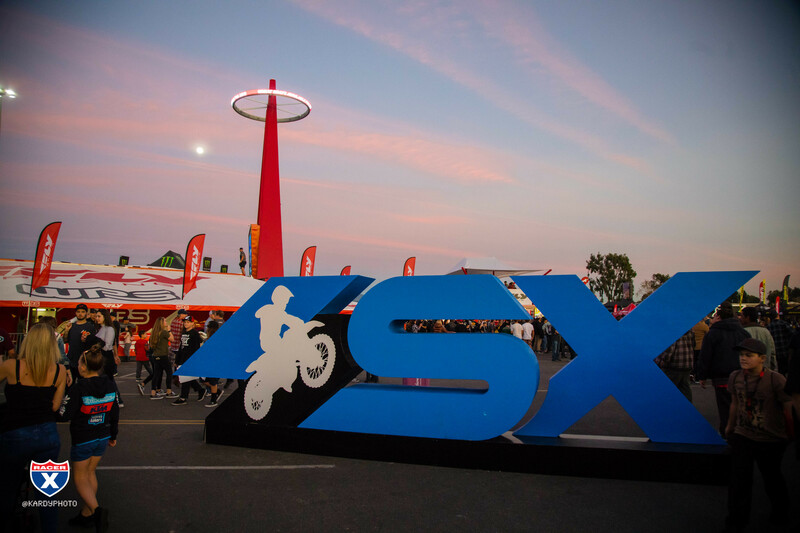 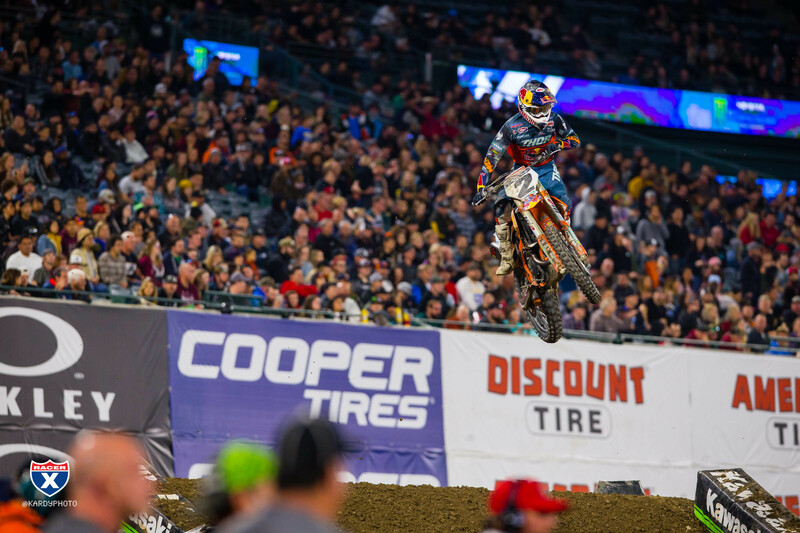 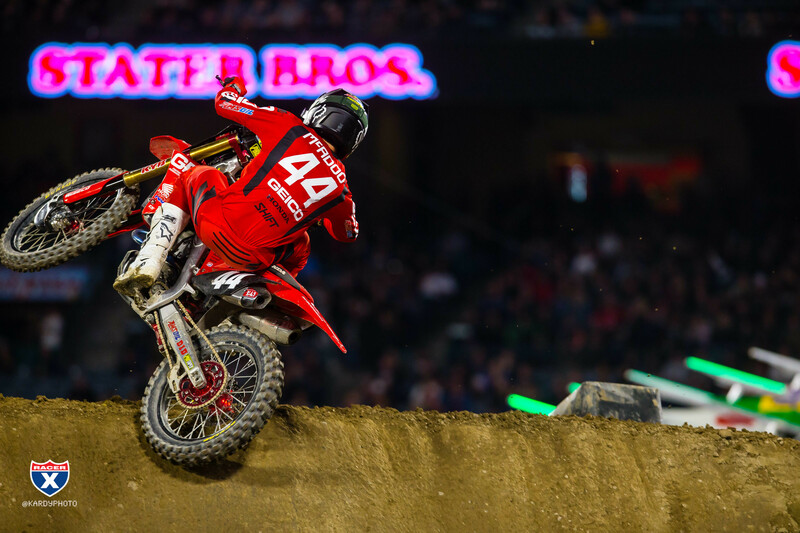 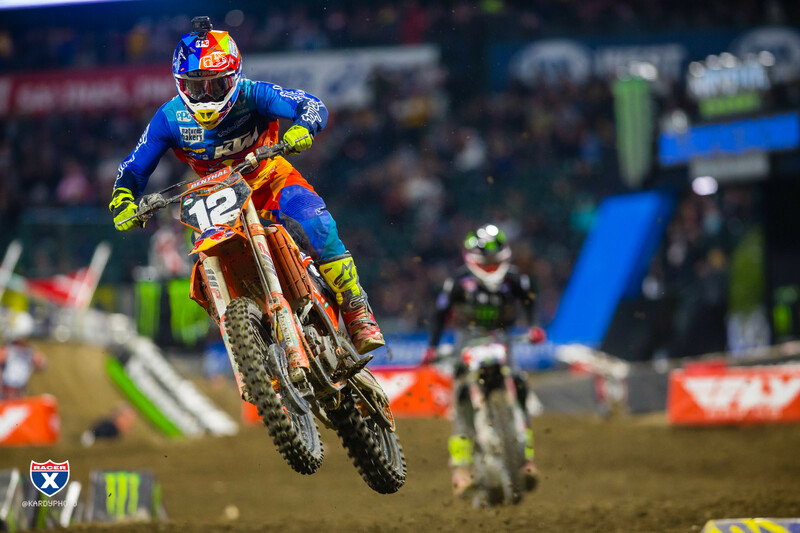 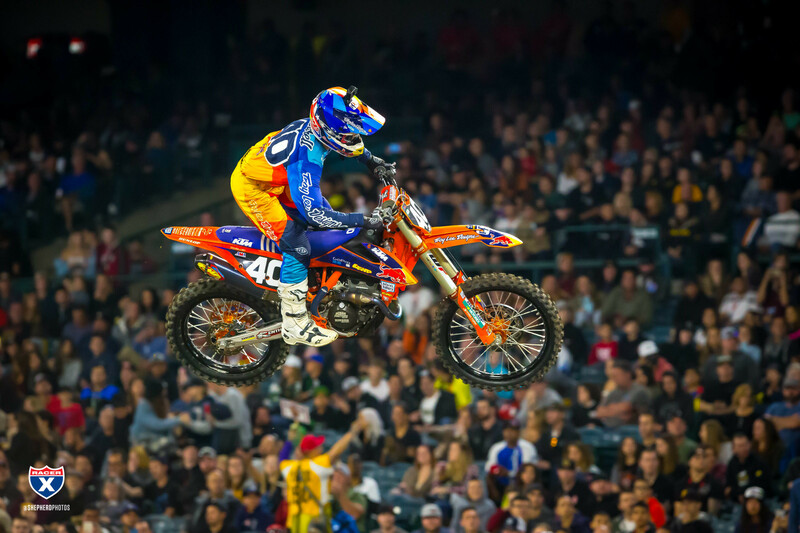 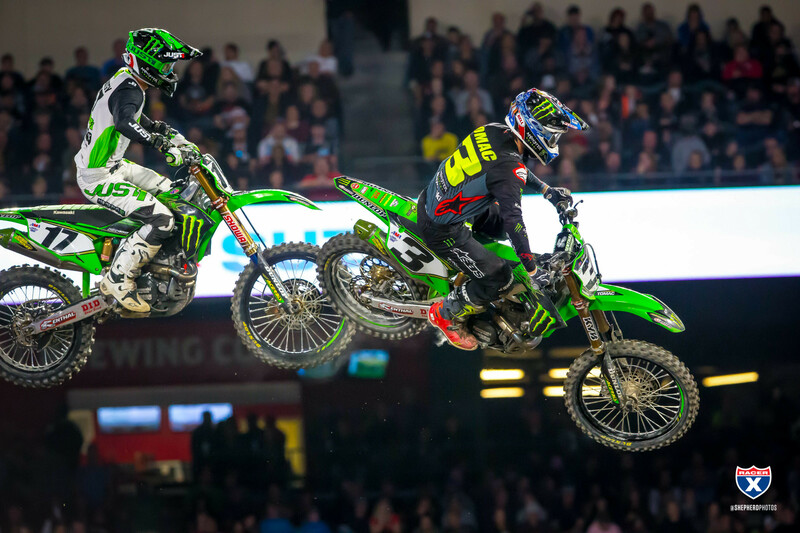 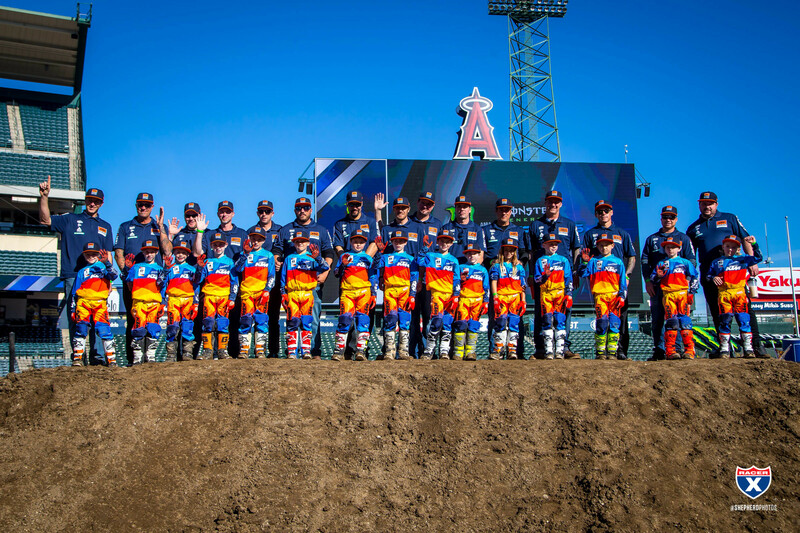 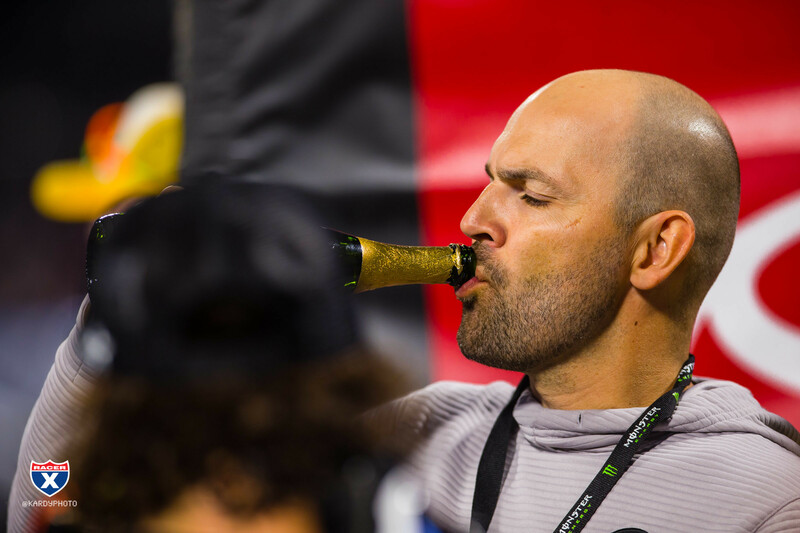 Our own Jeff Kardas and Rich Shepherd were at Angel Stadium for round three of Monster Energy AMA Supercross to capture all the action, from press day to the main events. 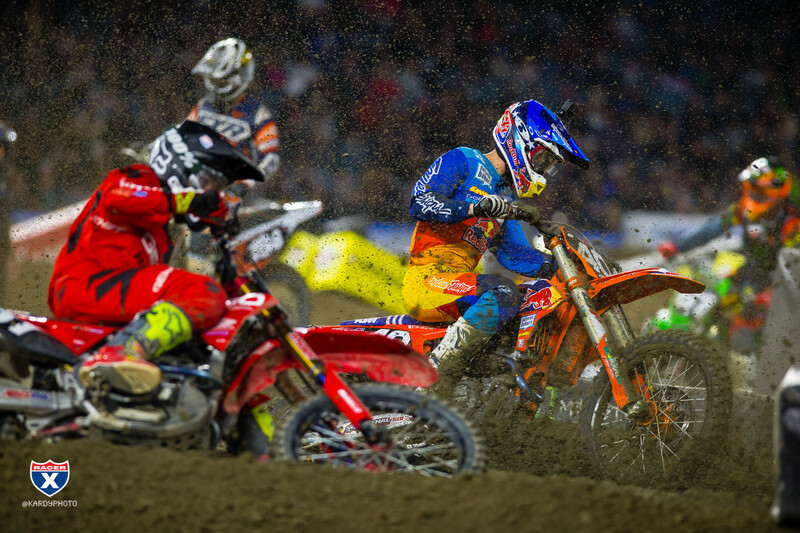 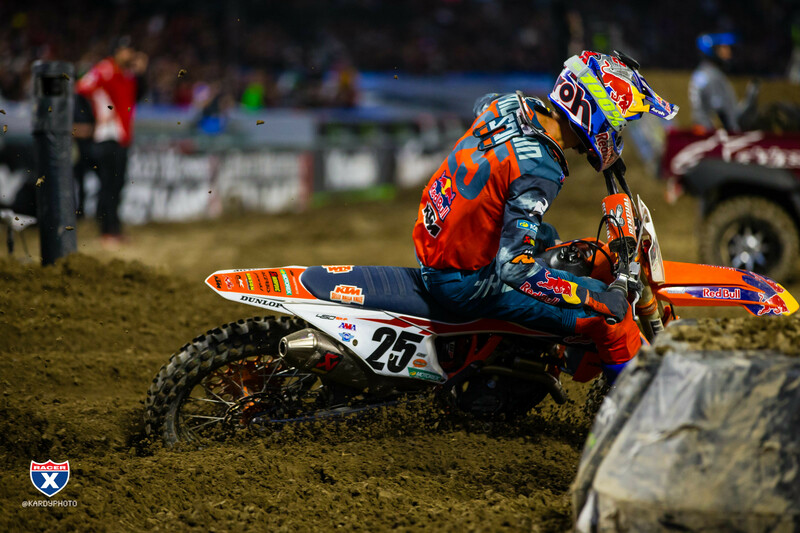 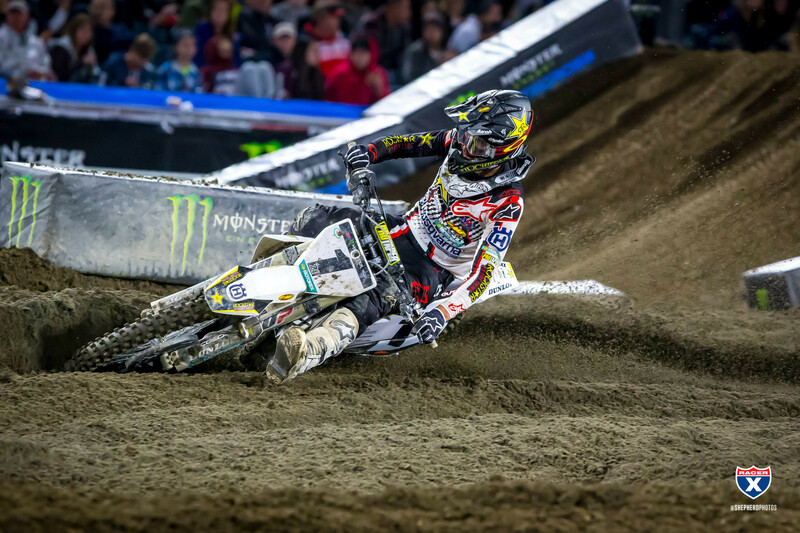 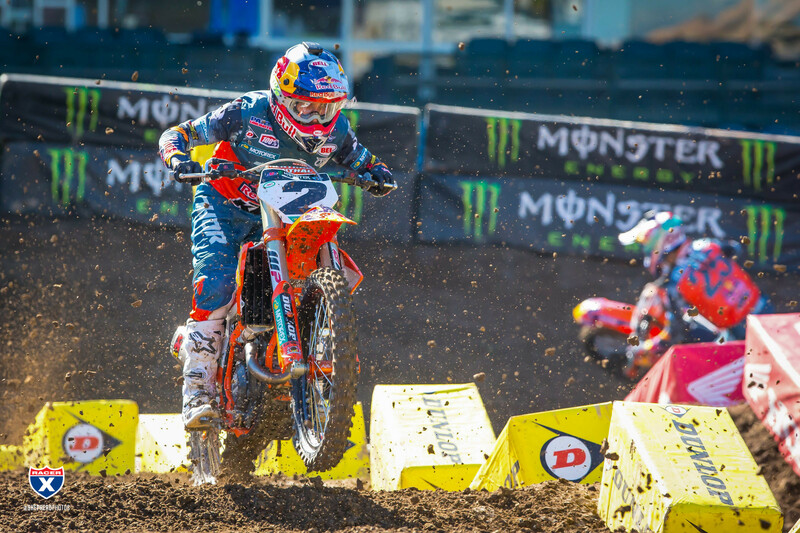 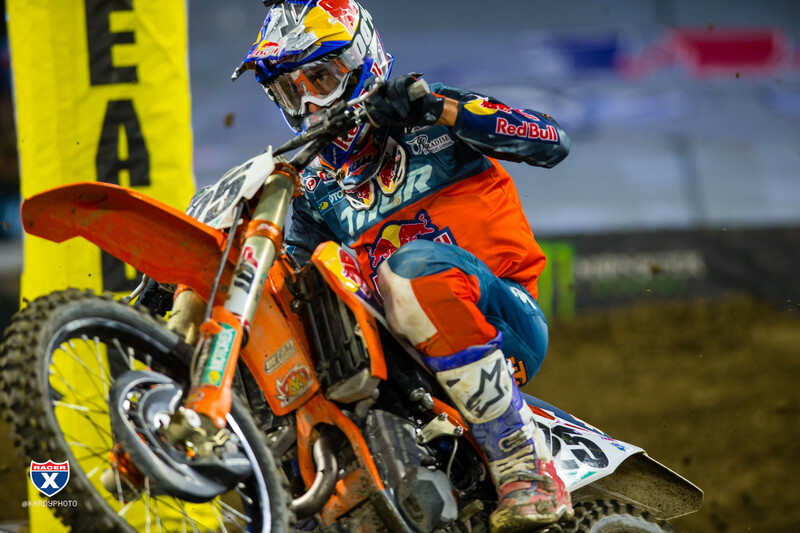 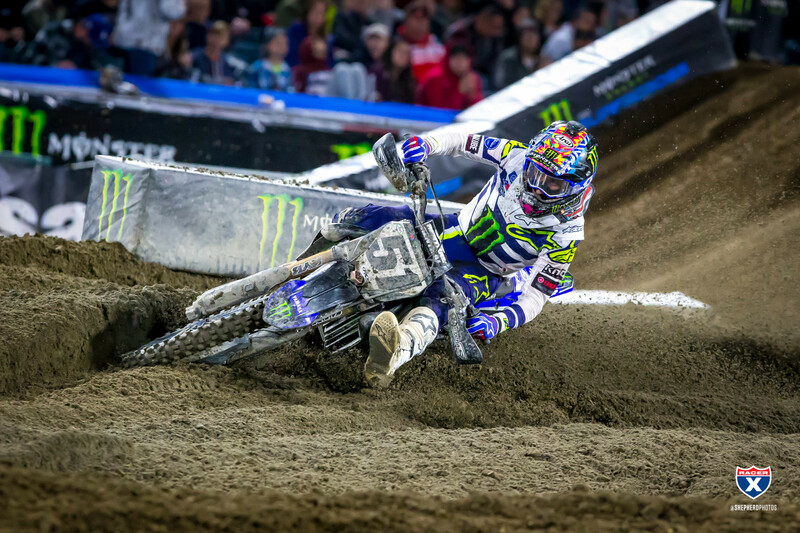 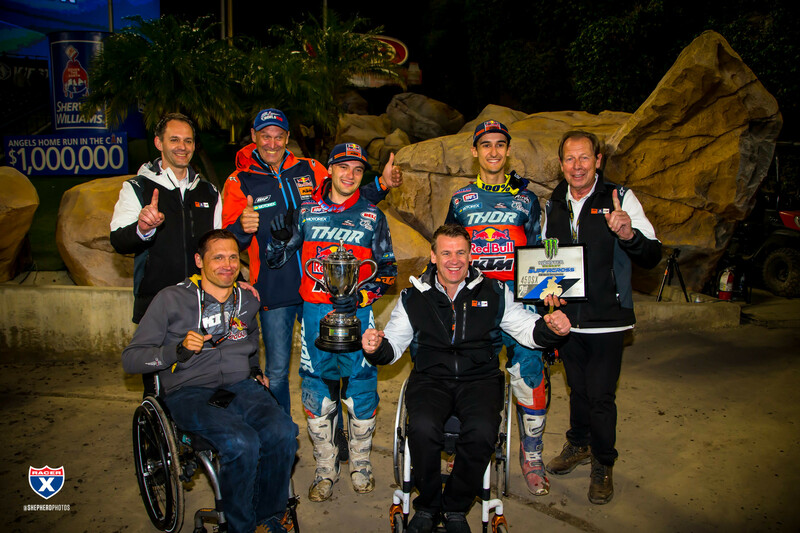 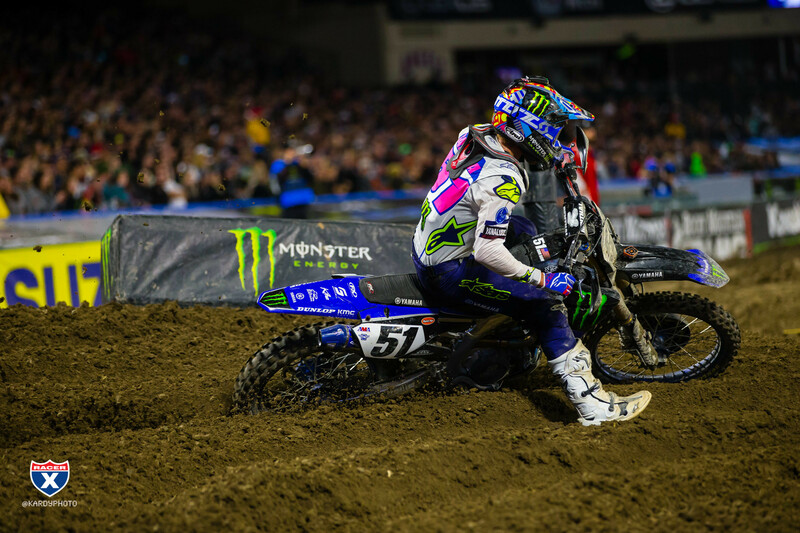 Here are some of their best photos from Anaheim 2. 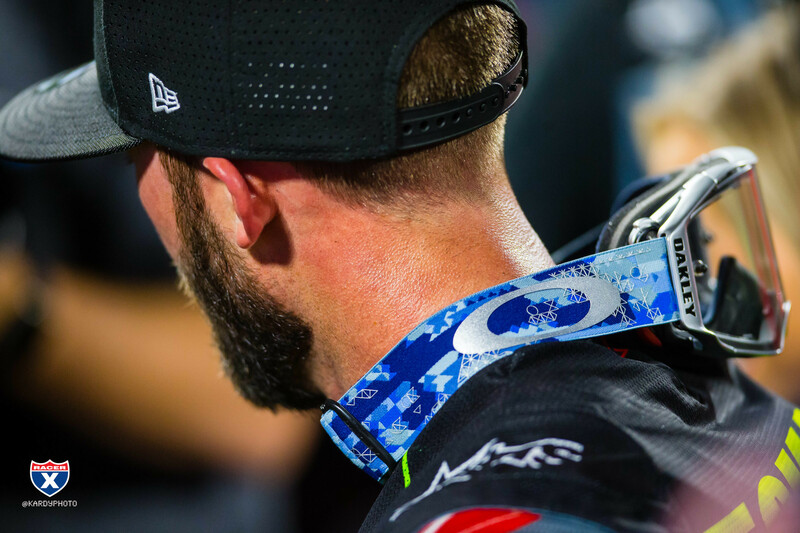 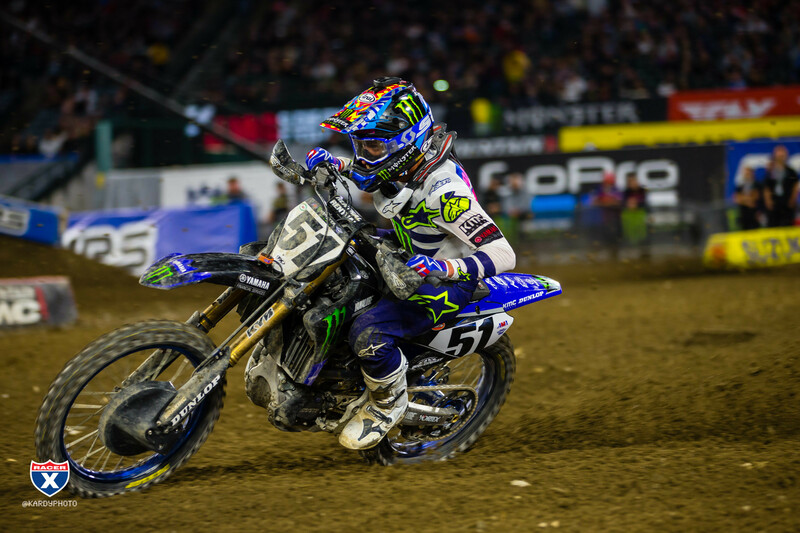 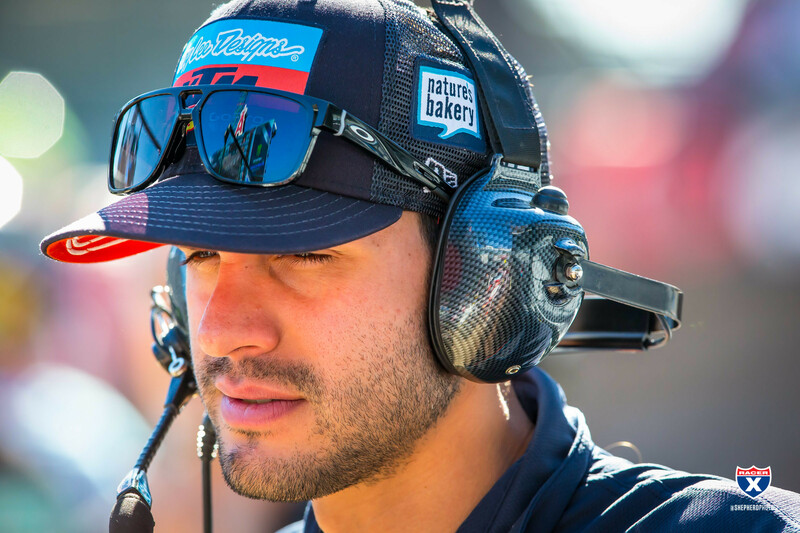 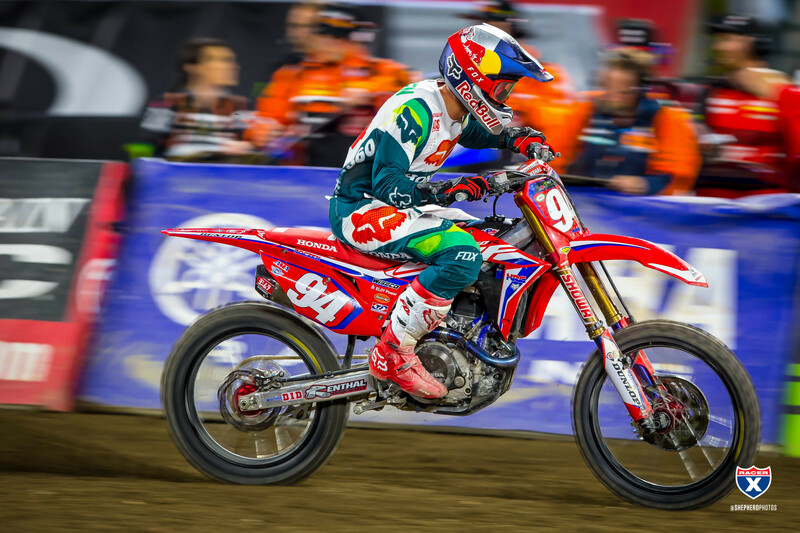 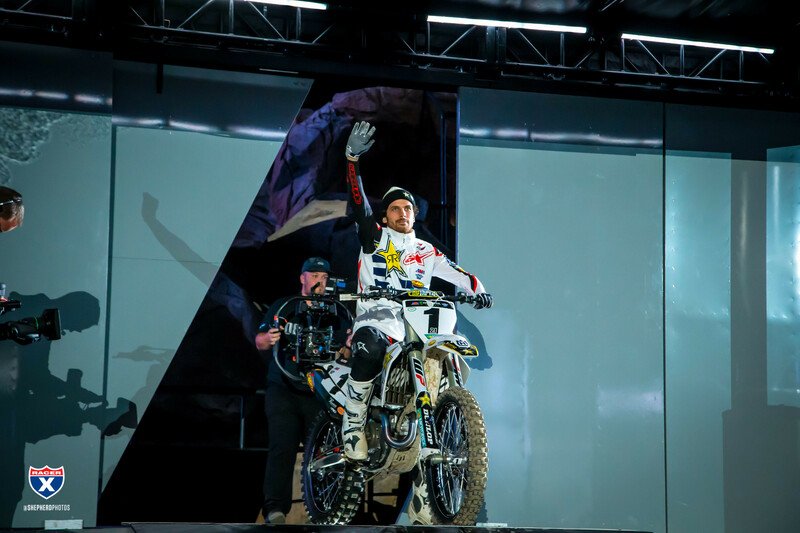 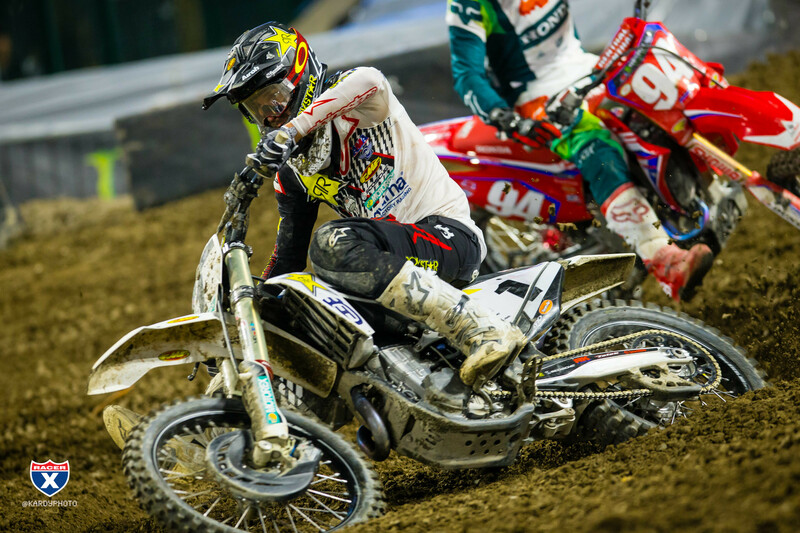 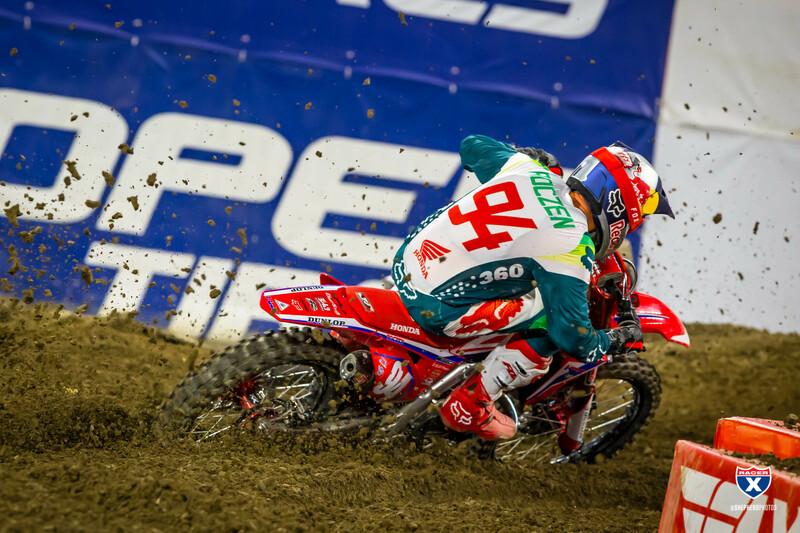 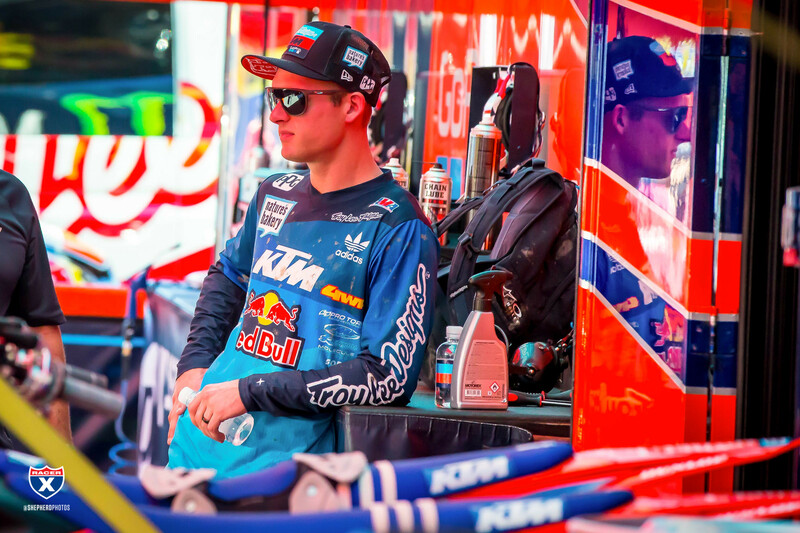 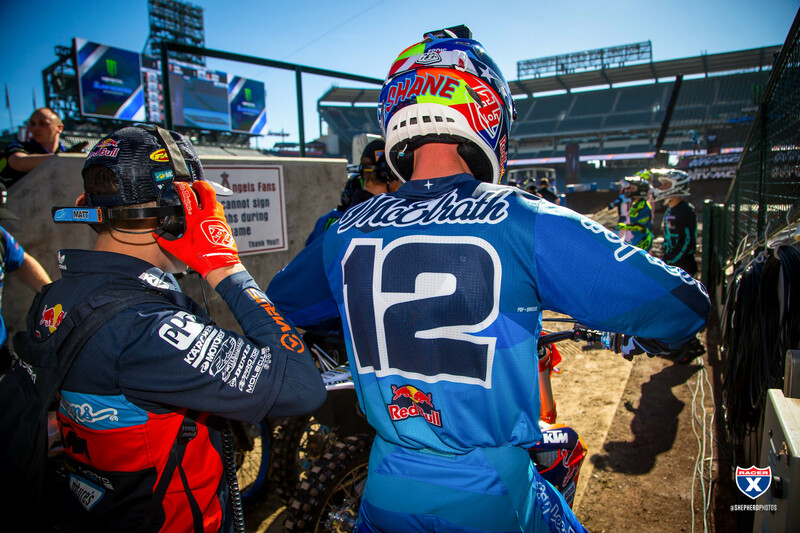 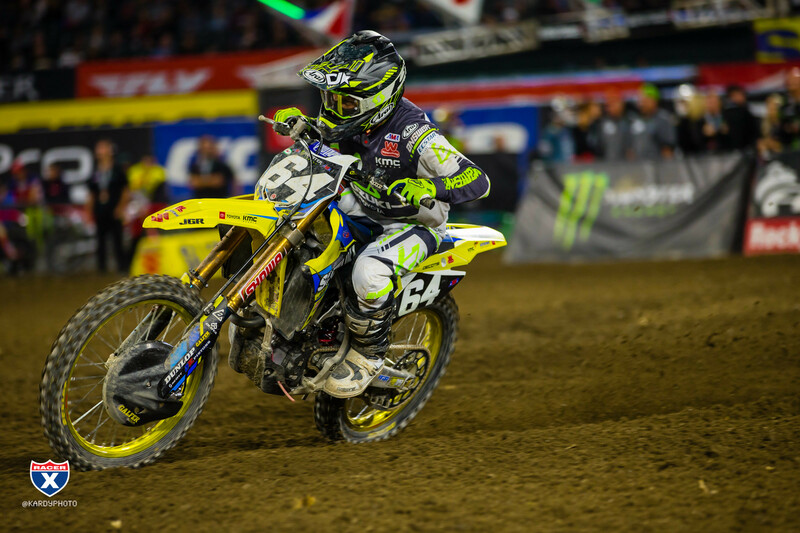 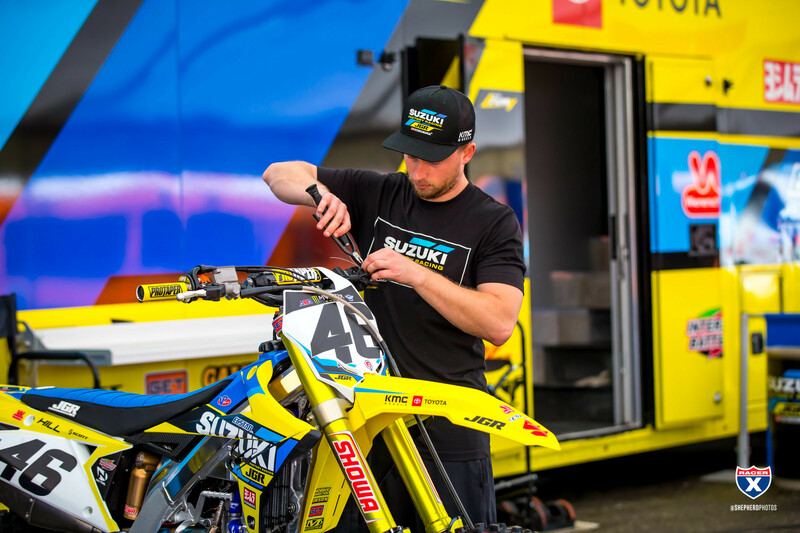 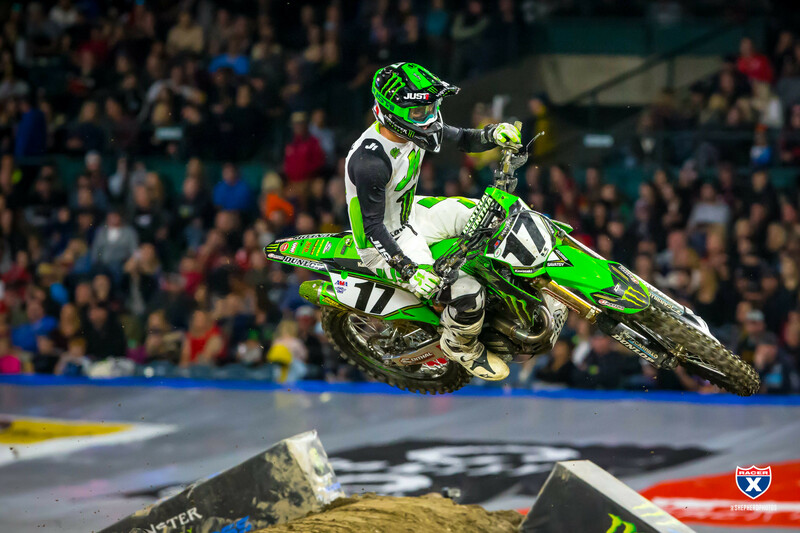 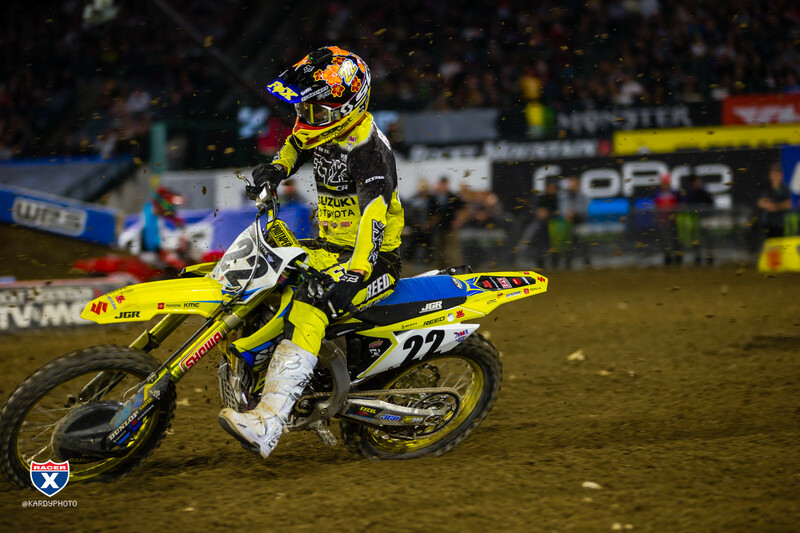 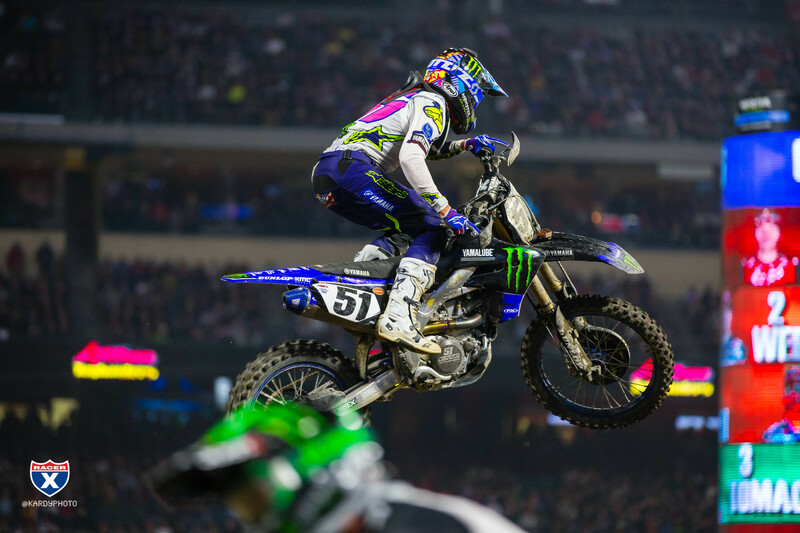 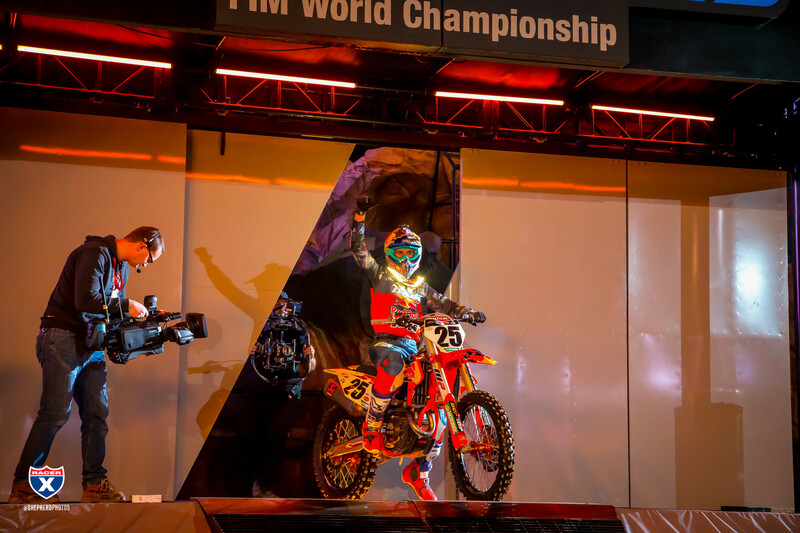 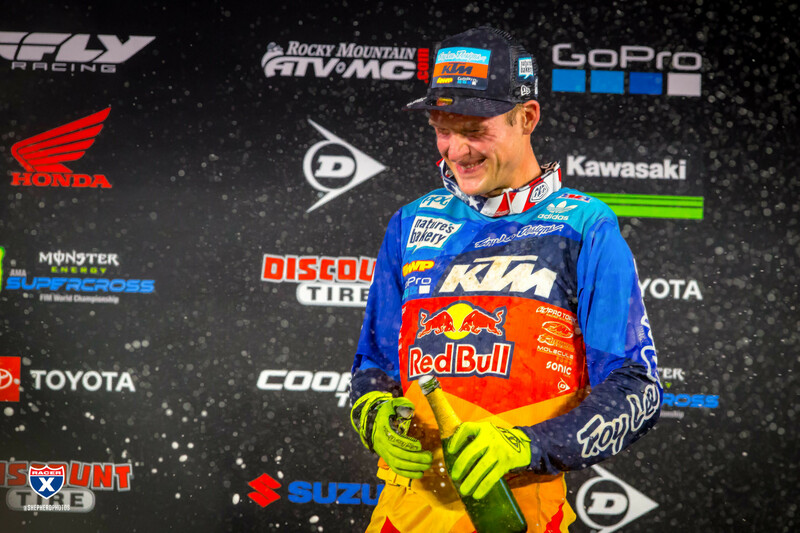 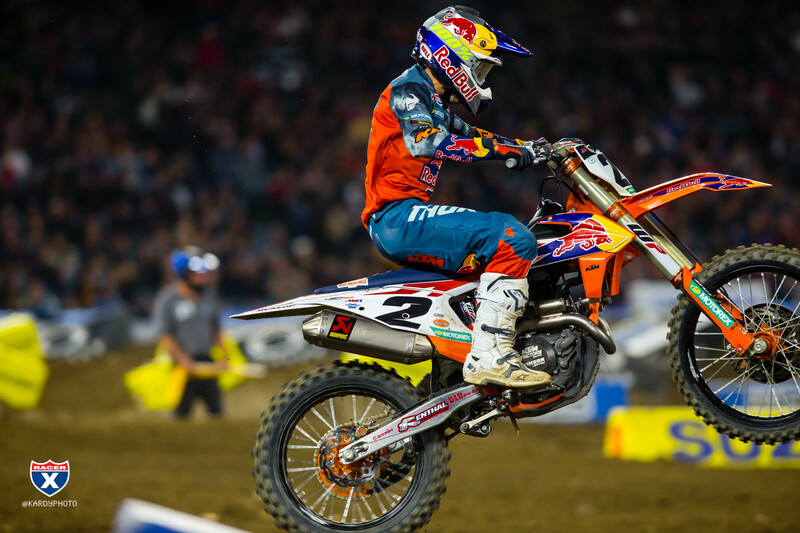 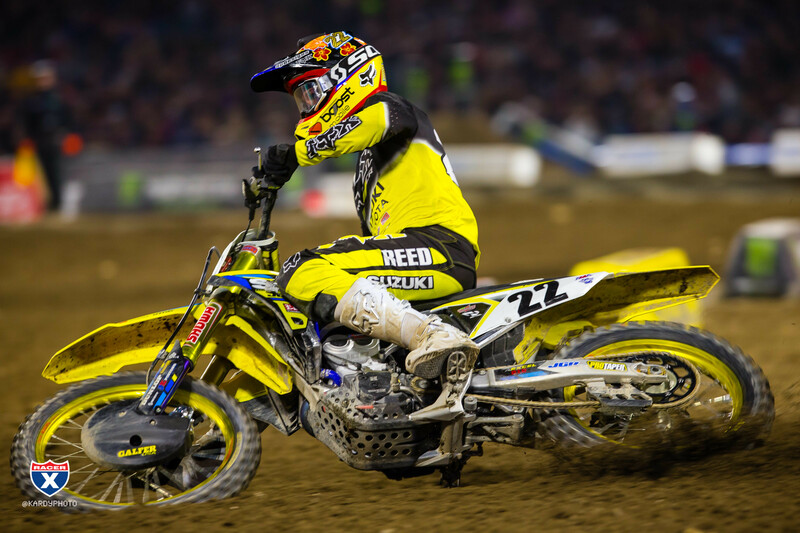 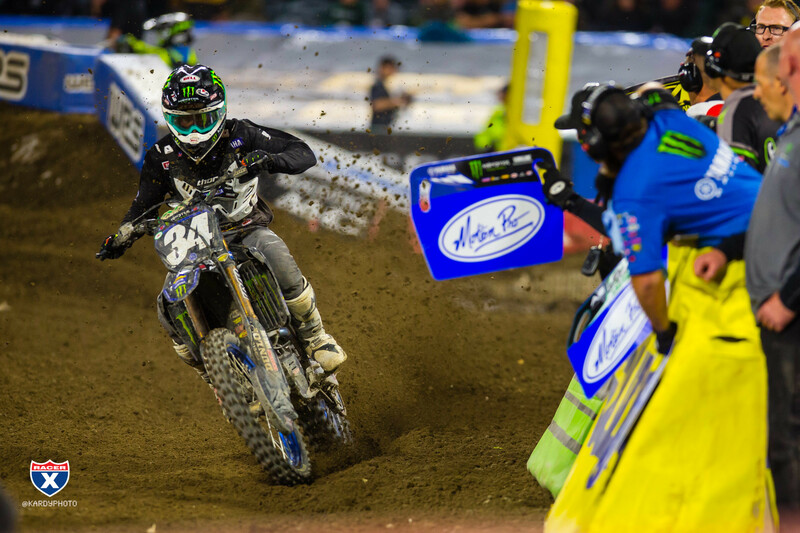 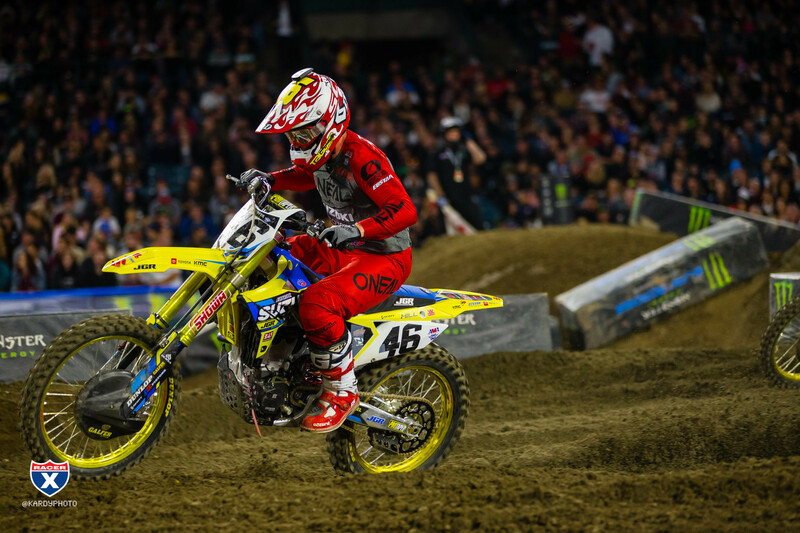 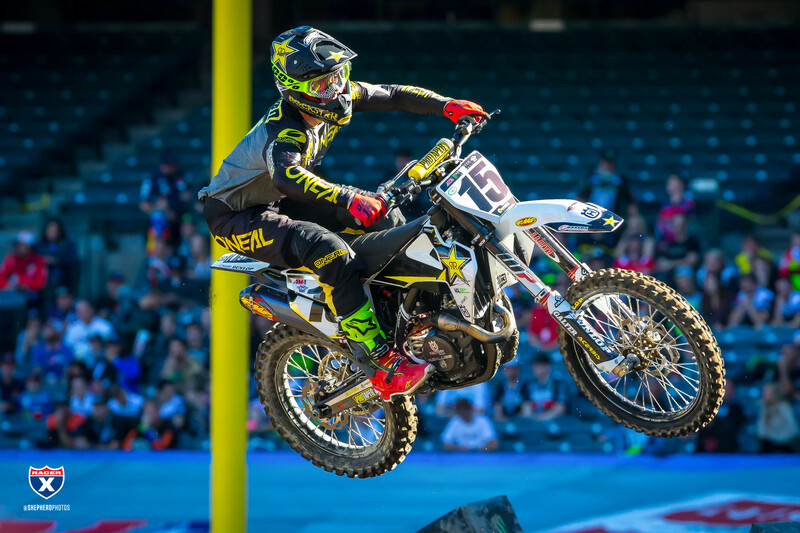 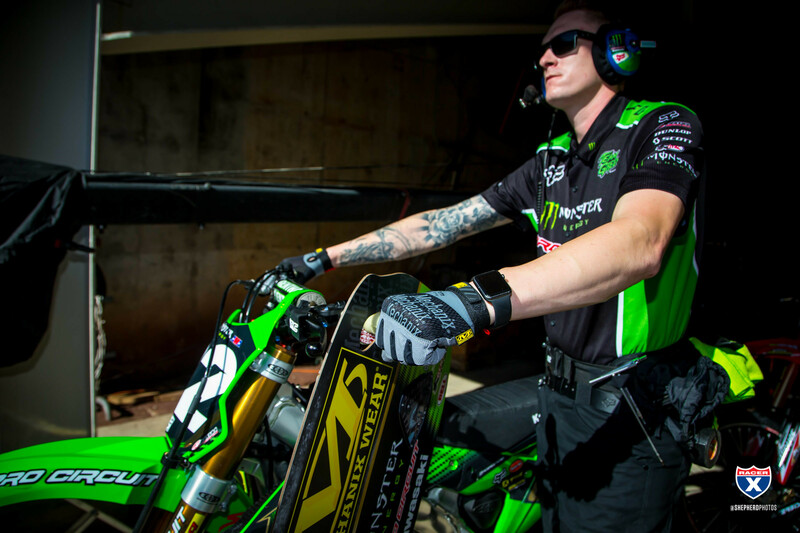 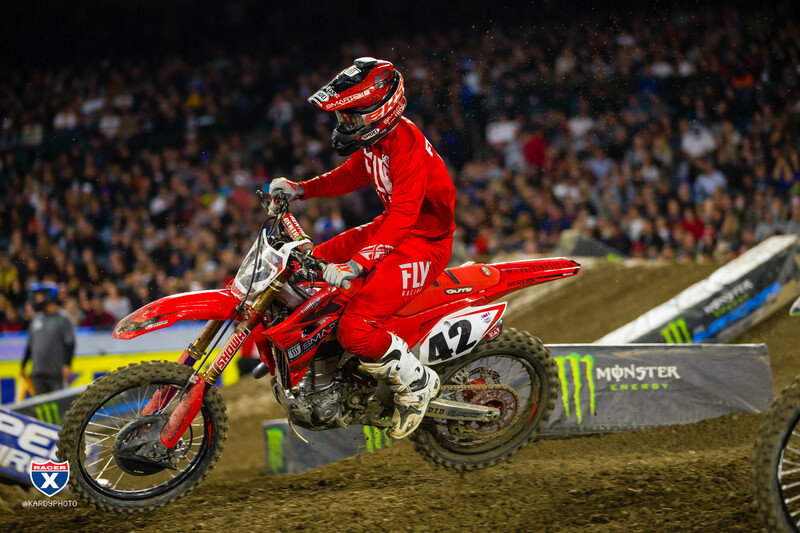 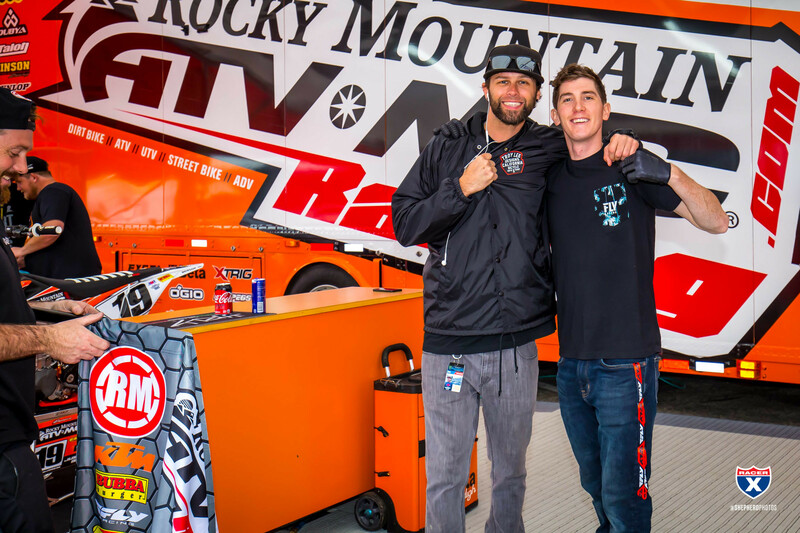 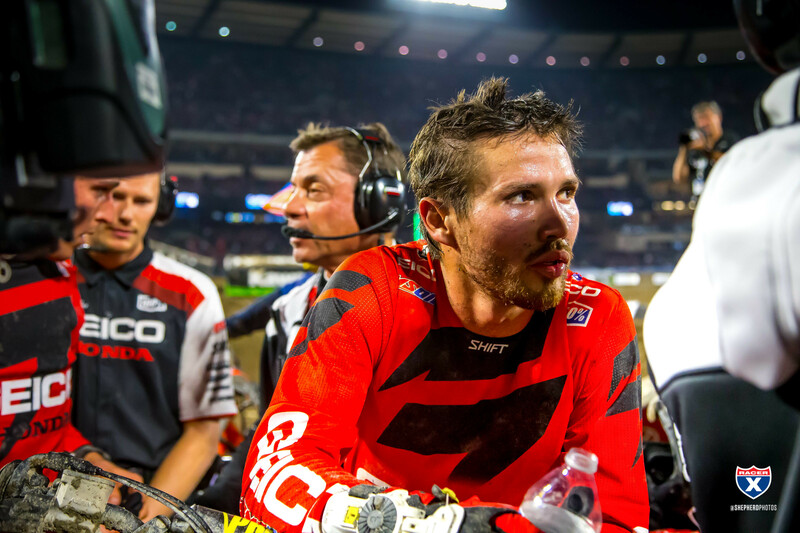 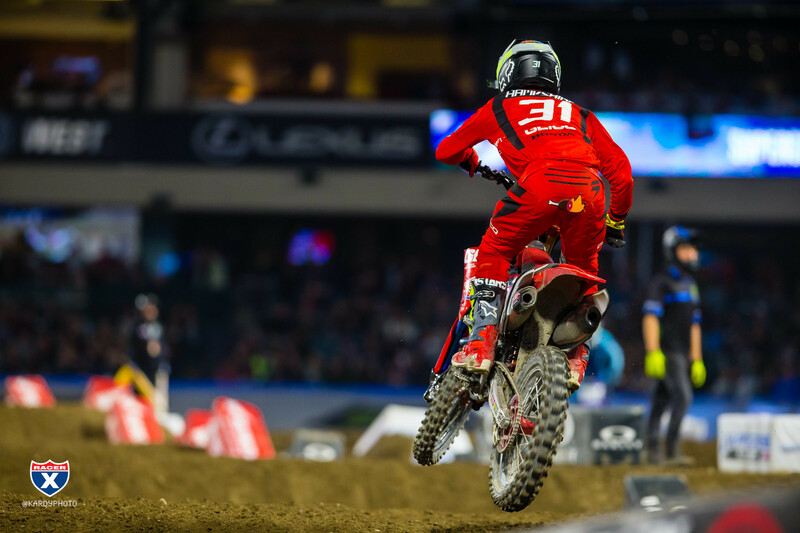 Clayton Williams, a designer at motocross gear brand Fox Racing, describes the details of the Jeremy McGrath-inspired gear worn by Chad Reed.